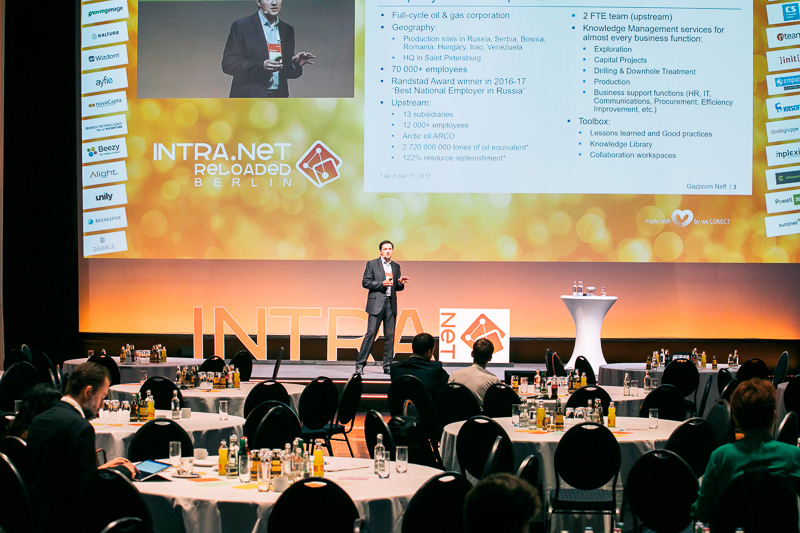 Europe’s most prominent event on enterprise communication and digital workplaces and the biggest of its kind, the 8th Intra.NET Reloaded Berlin is a cross-functional and cross-industrial event that gathers over 300 decision makers and thought-leaders from Digital Workplace, Intranet, Collaboration, Knowledge management, UX, IT, Internal Communications and HR functions from large enterprises, SME’s, start-ups, NGOs and academia, to learn the latest successes in the field as well as discuss the most pressing challenges of the digital workplace that’s designed to make your employees work better. 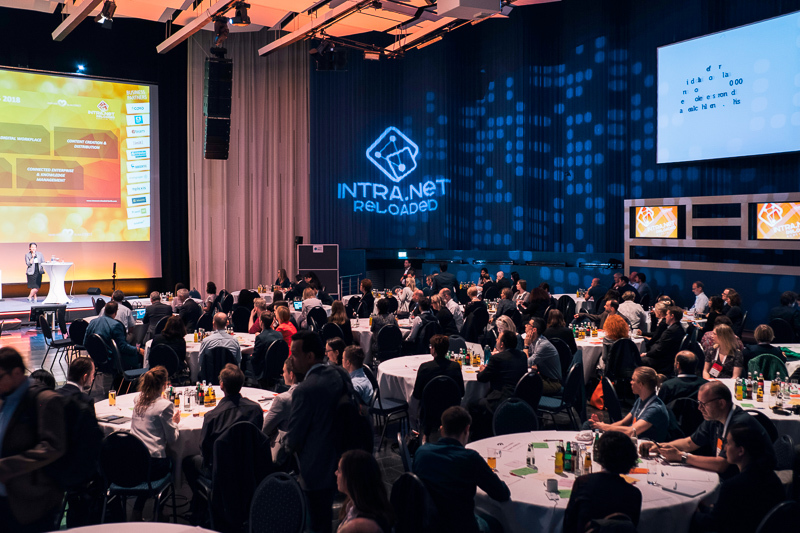 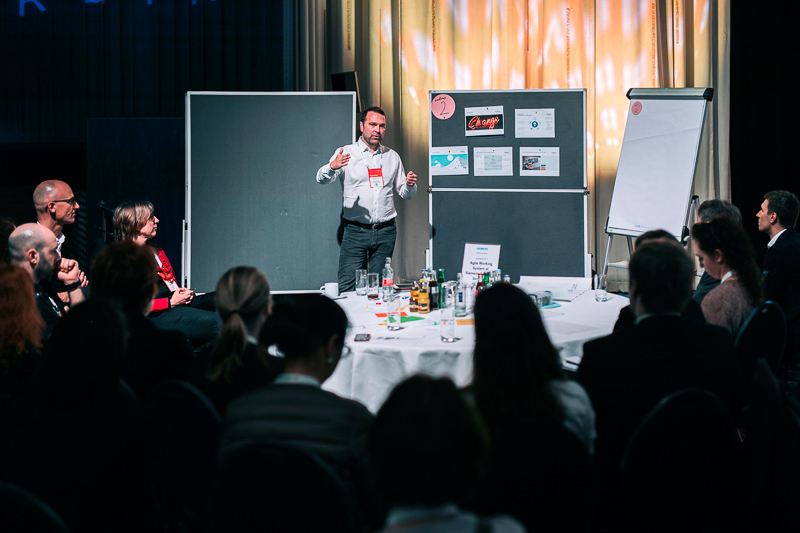 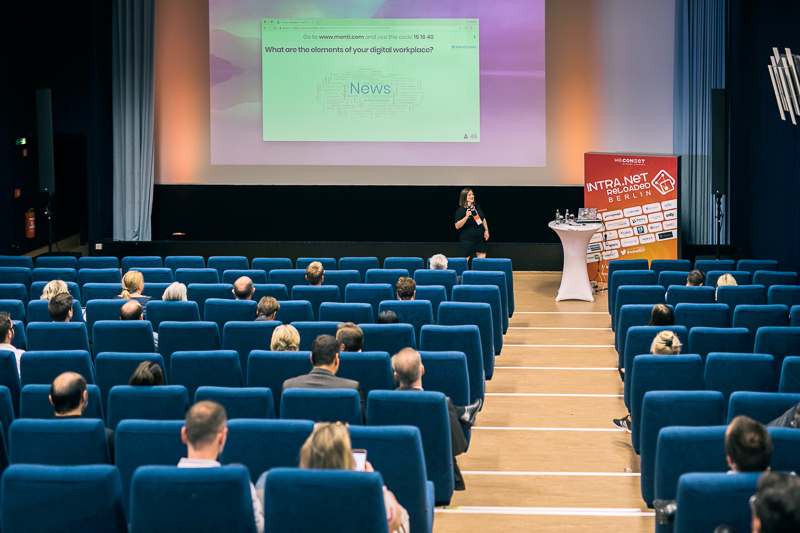 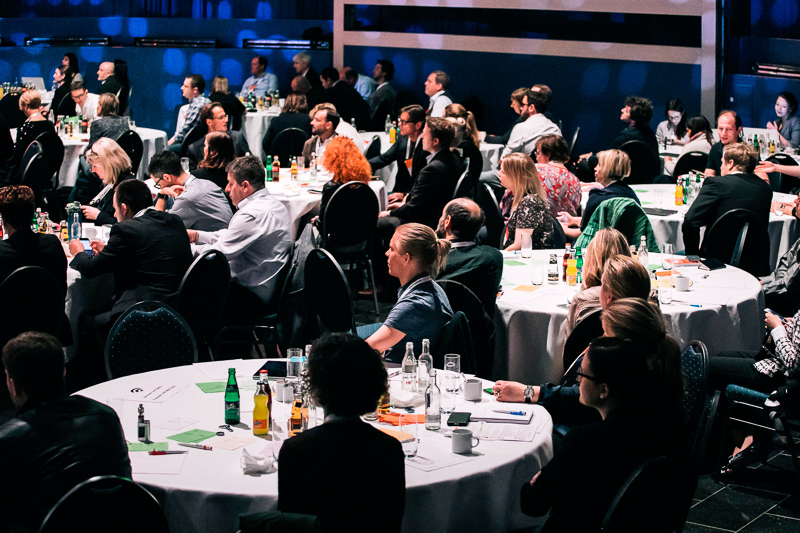 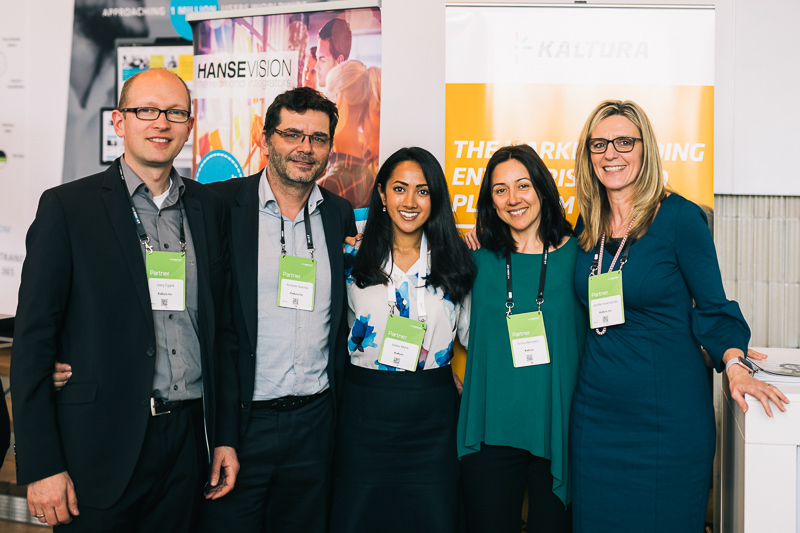 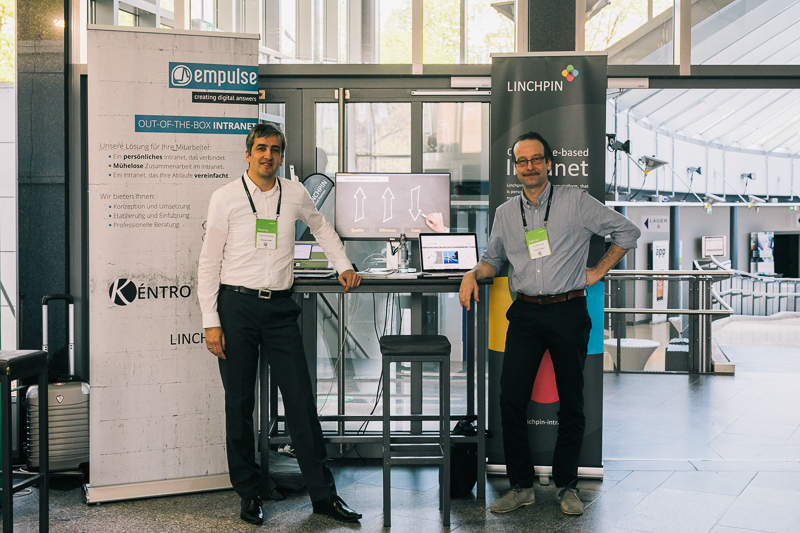 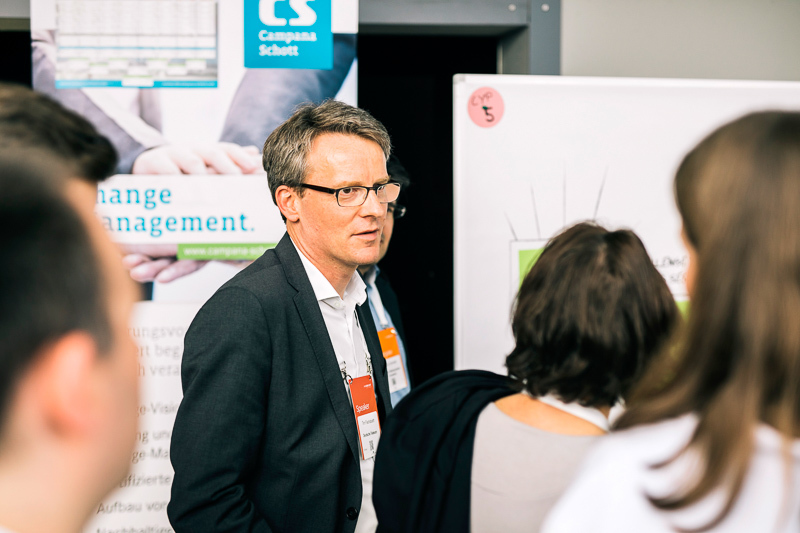 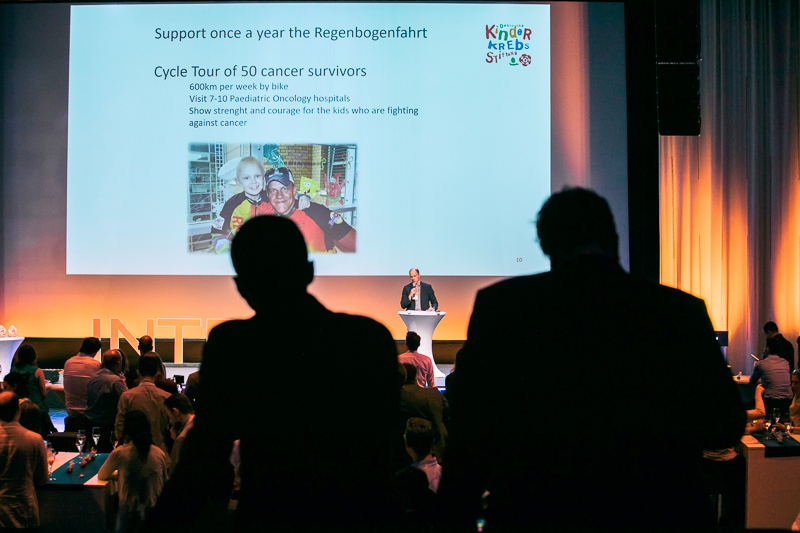 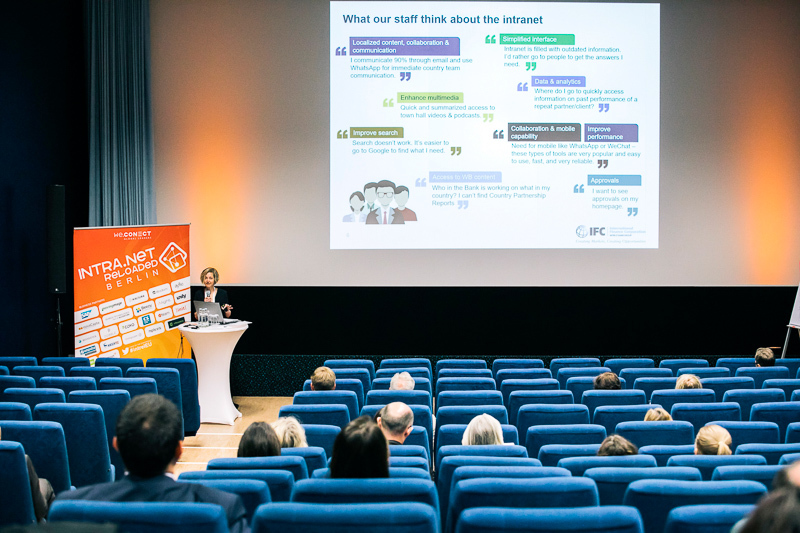 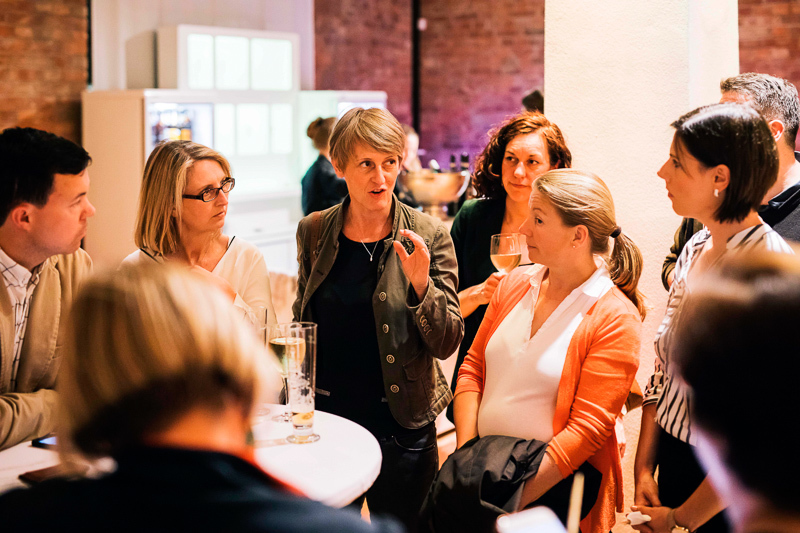 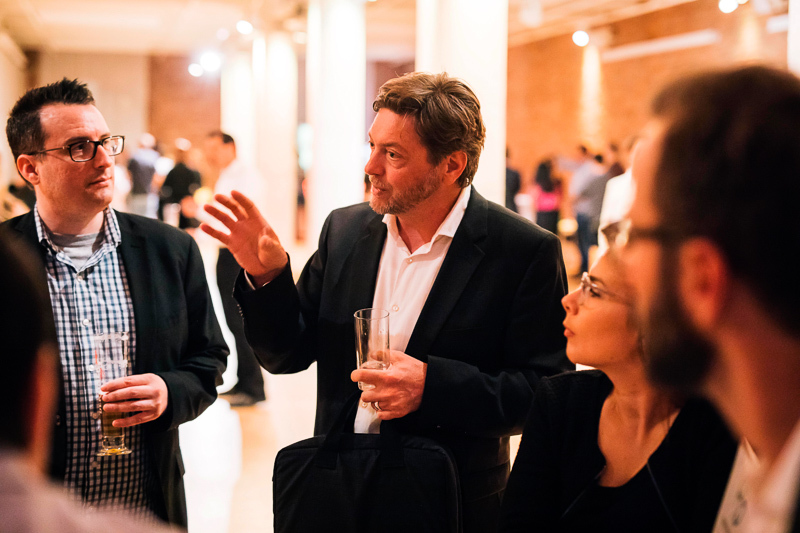 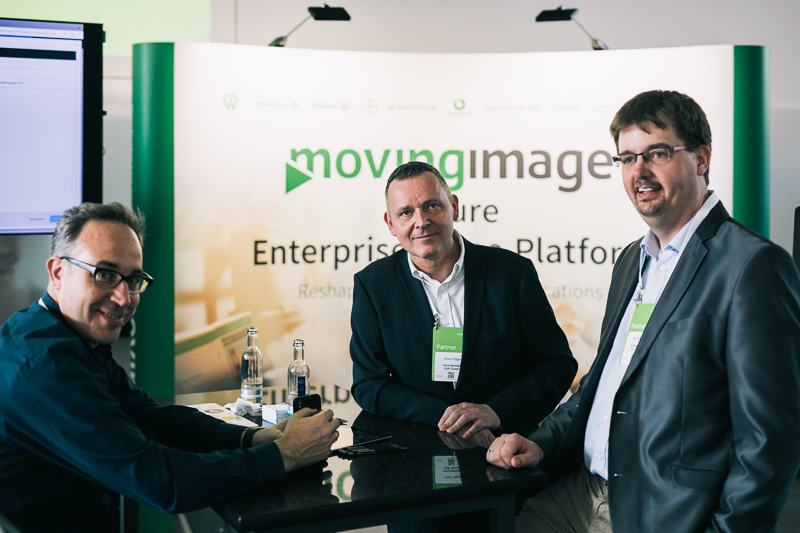 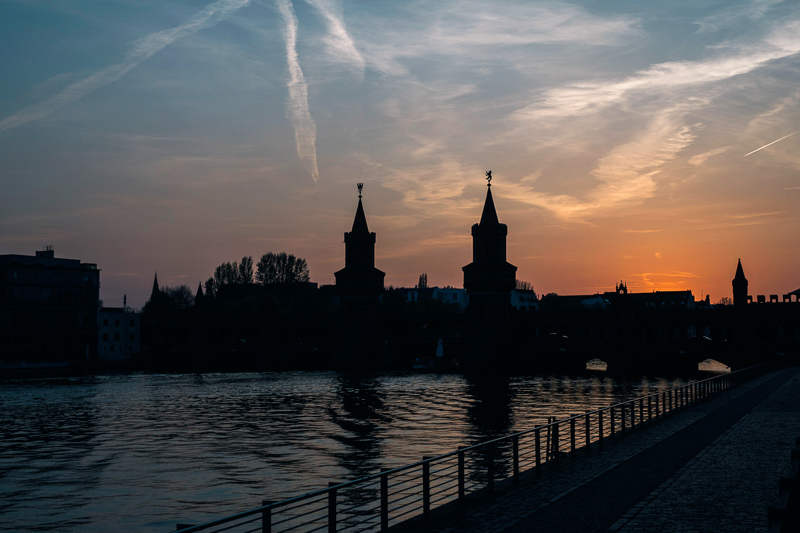 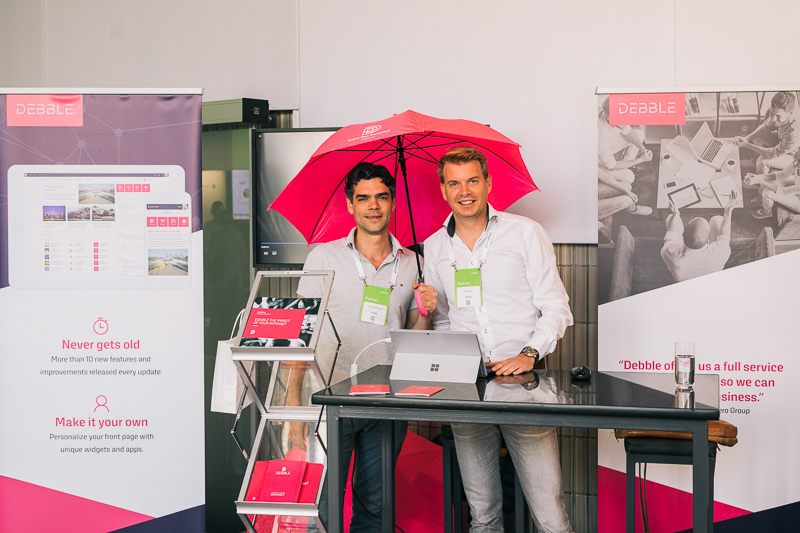 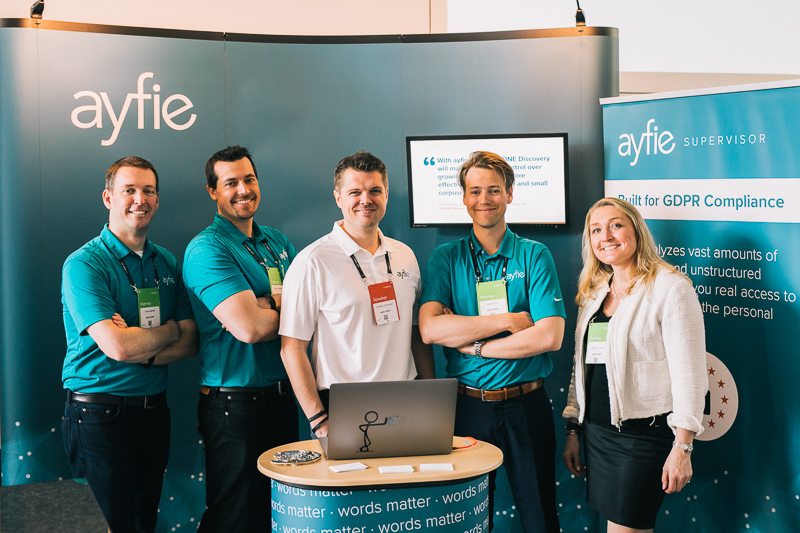 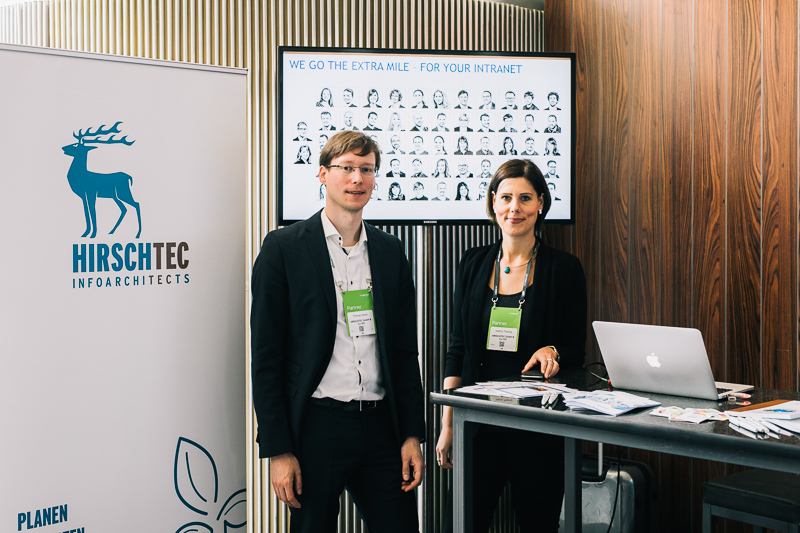 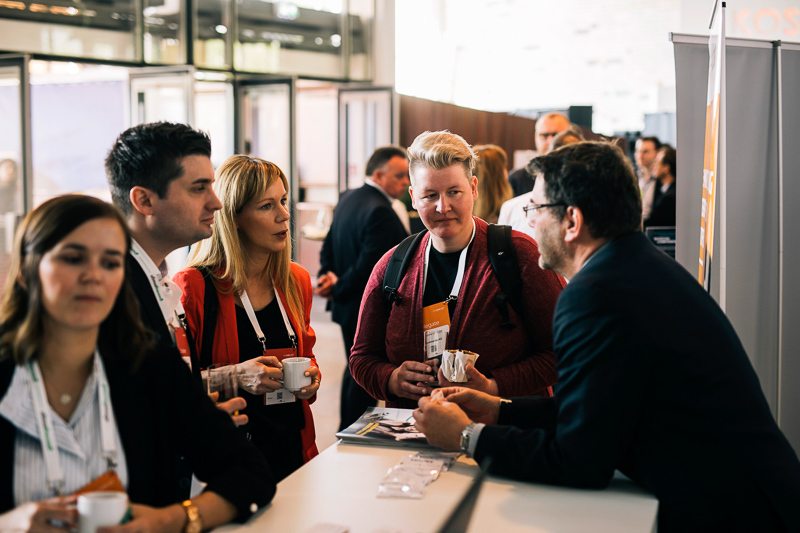 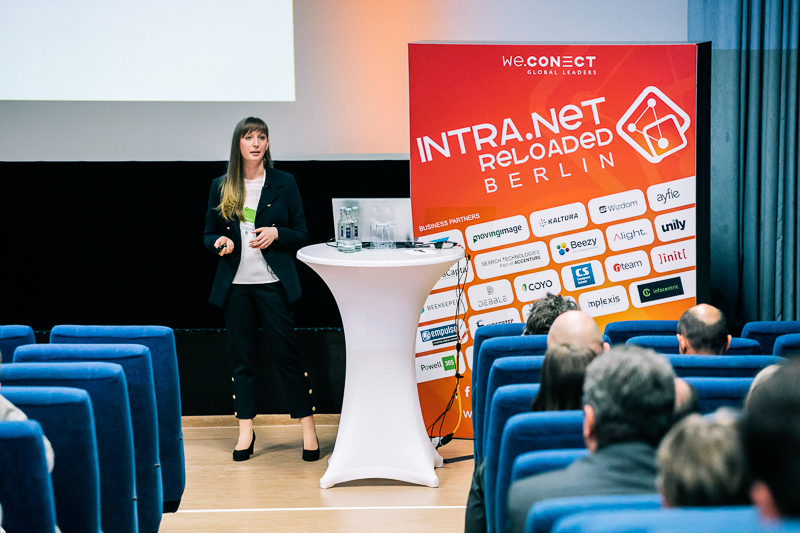 We are looking forward to welcoming you at the IntraNET Reloaded Berlin this April! 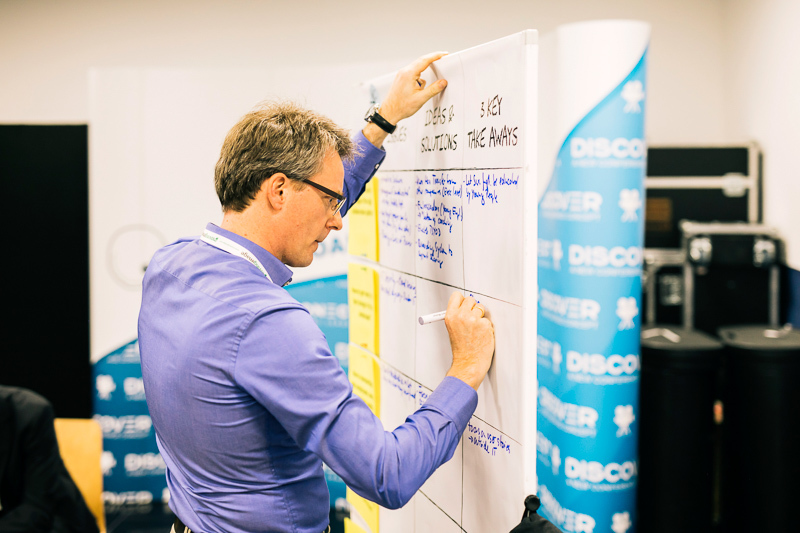 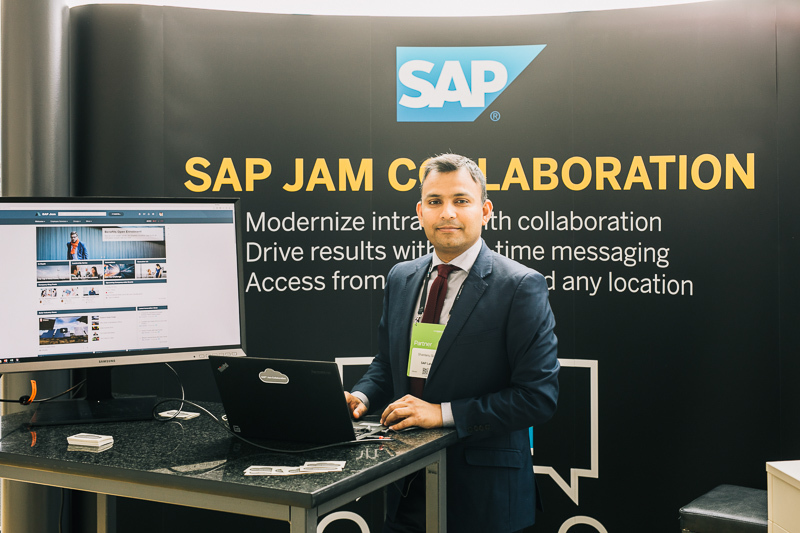 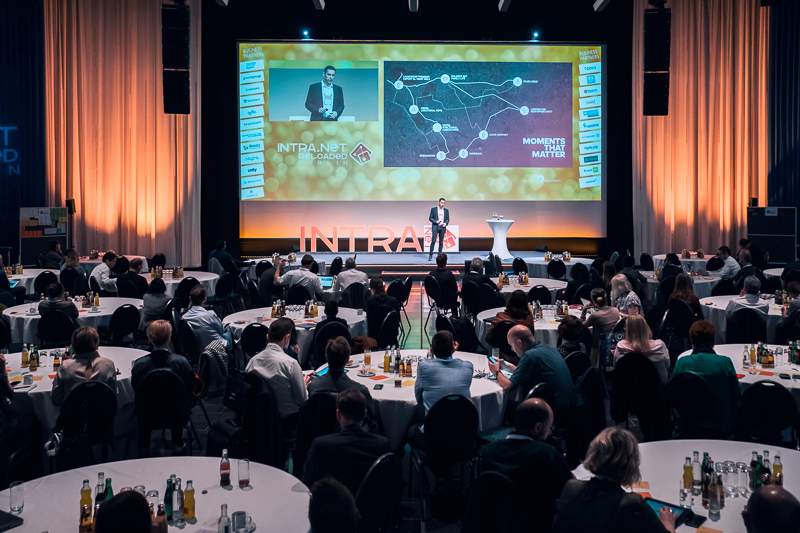 For better knowledge transfer and innovation finding, the IntraNET Reloaded Keynotes, World Cafés, Round Tables and Workshops are being documented as live visualizations. 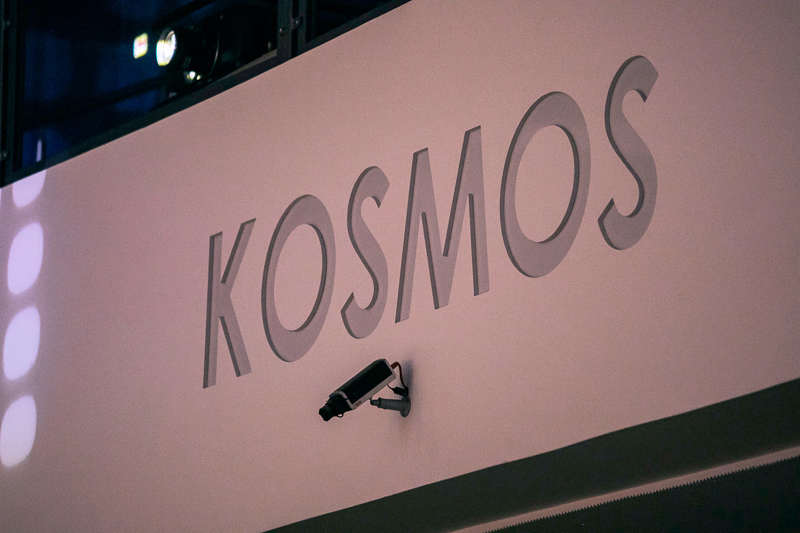 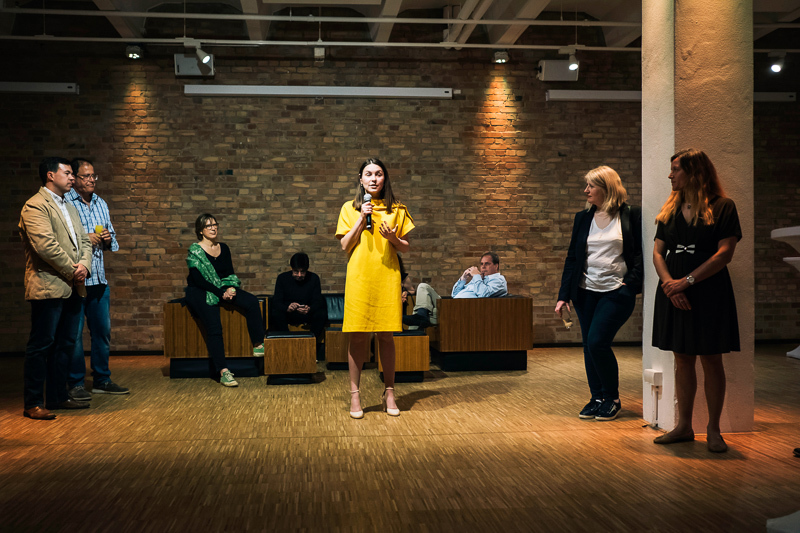 Following the spoken word, Europe’s best artists simultaneously translate the core arguments into a large format word & picture record. 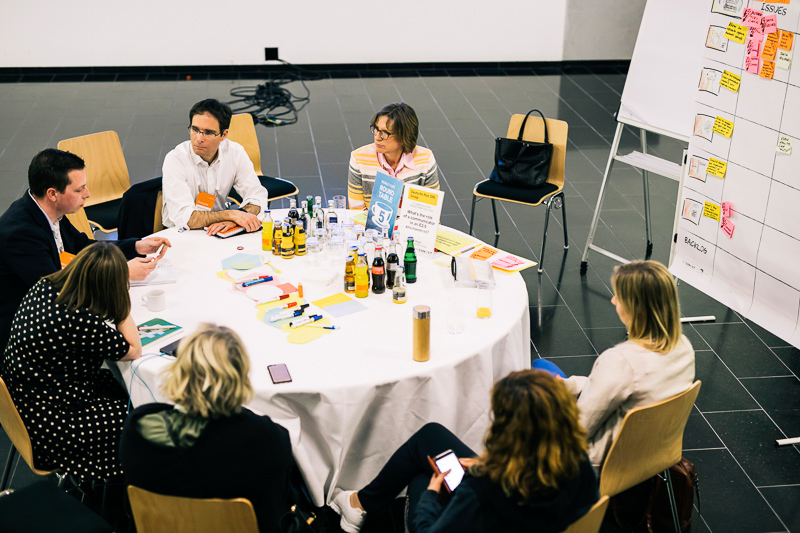 The big picture structures the conclusions, grows along the discussion and by means of visual anchors enables better overview of the topic for the participants. 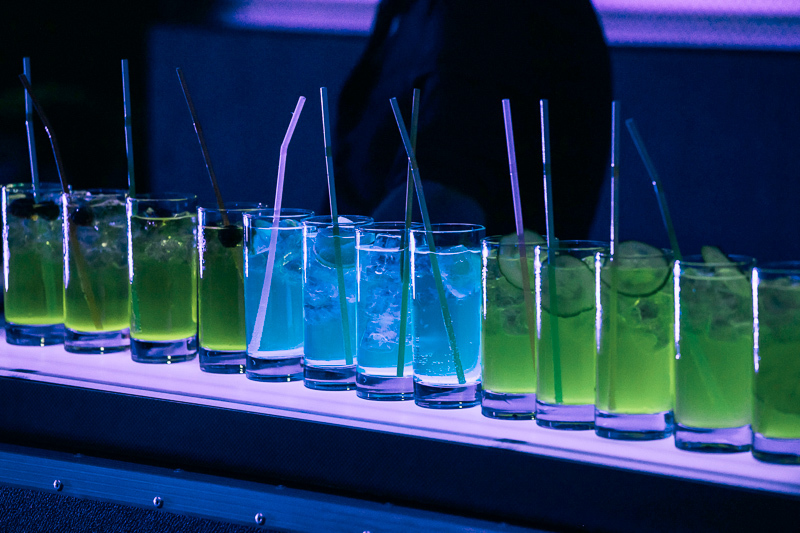 Not sponsors. 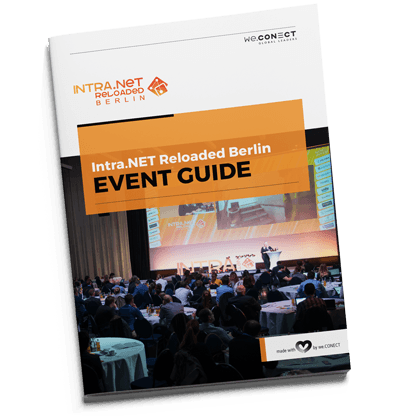 The Intra.NET Reloaded Berlin is a unique event in the business & technology world because of our relationship with our partners. 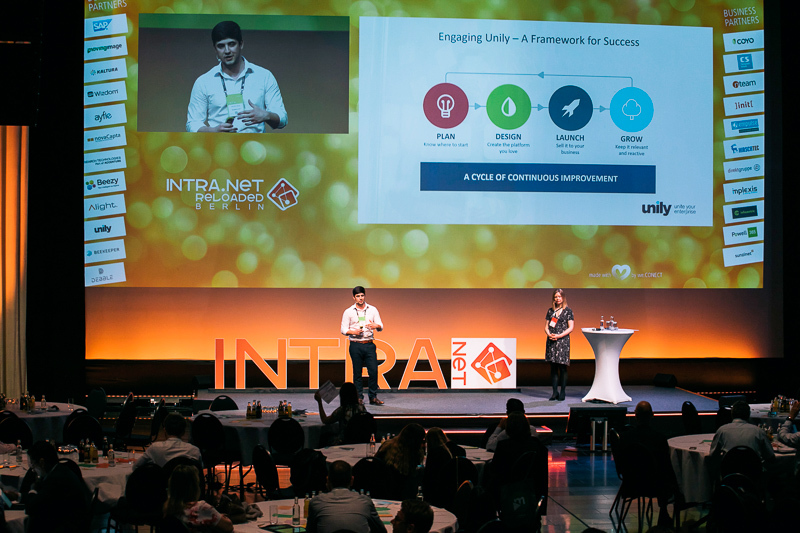 Our aim is to support them to reach their targets and inspire innovation. 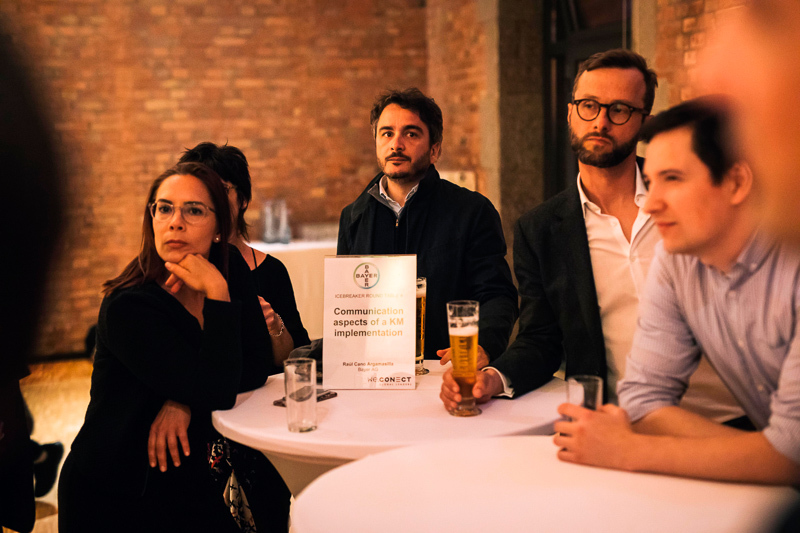 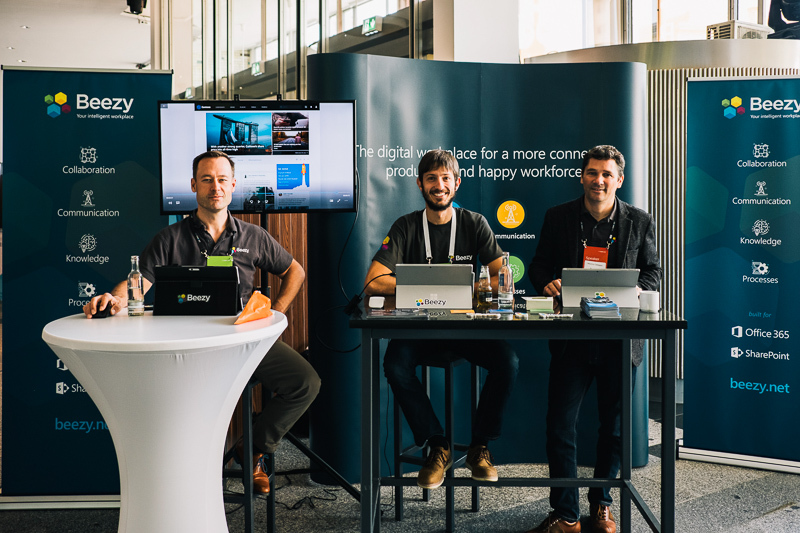 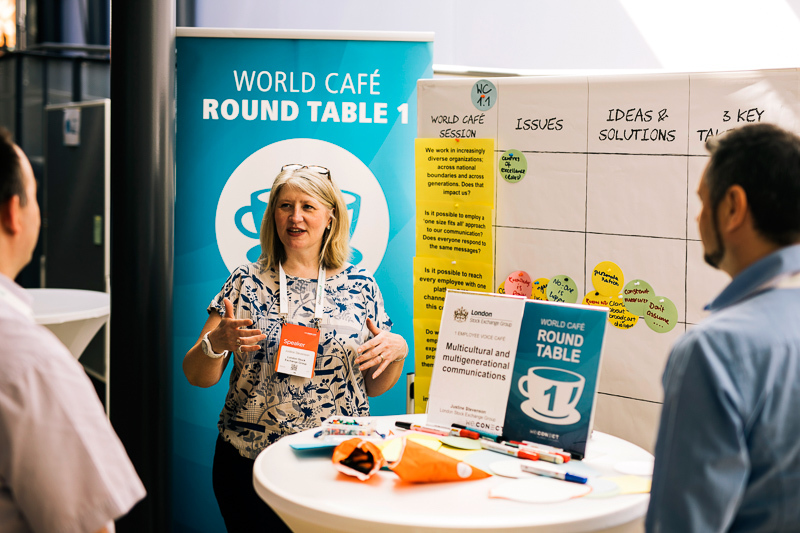 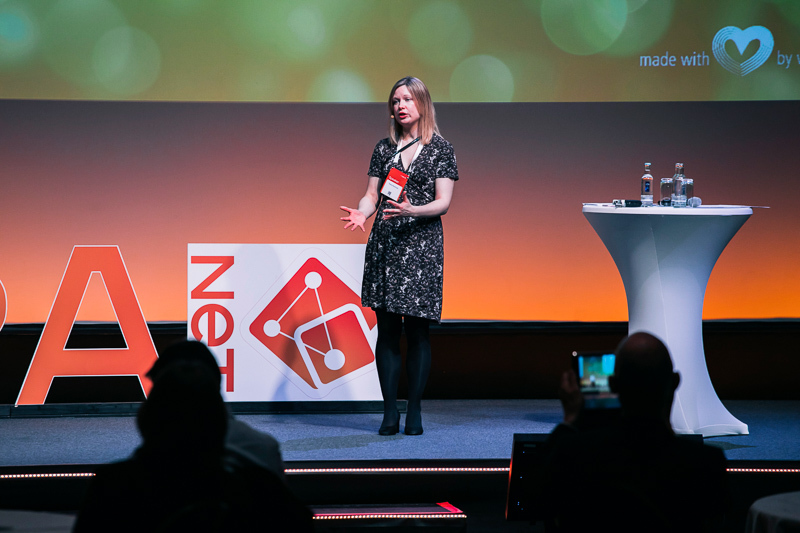 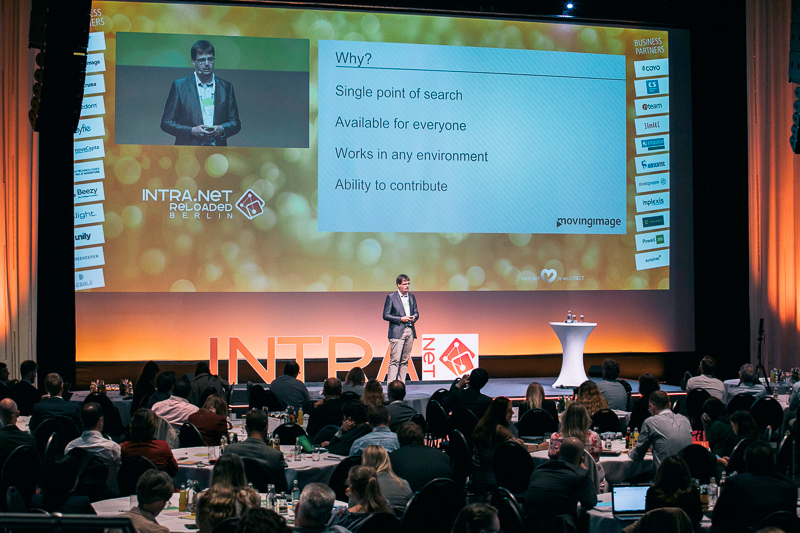 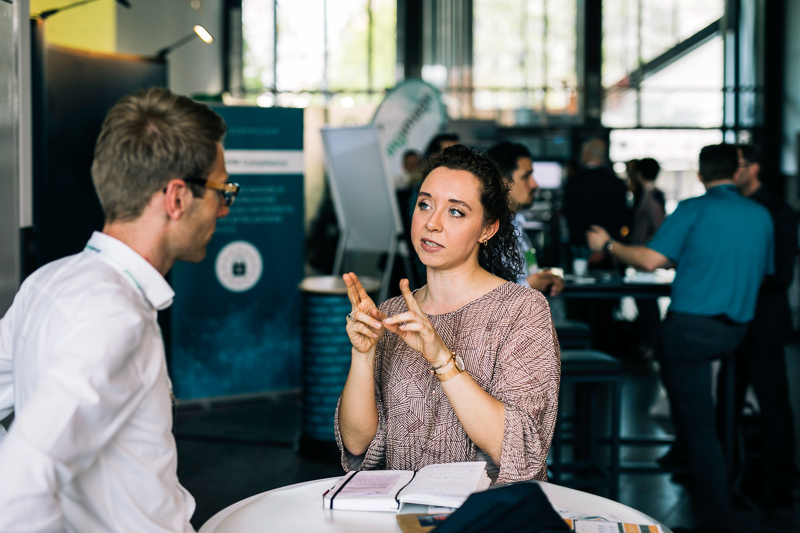 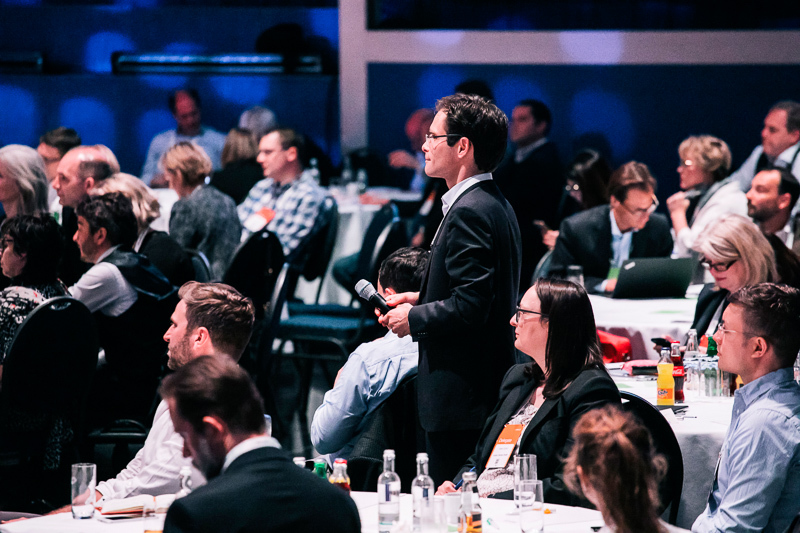 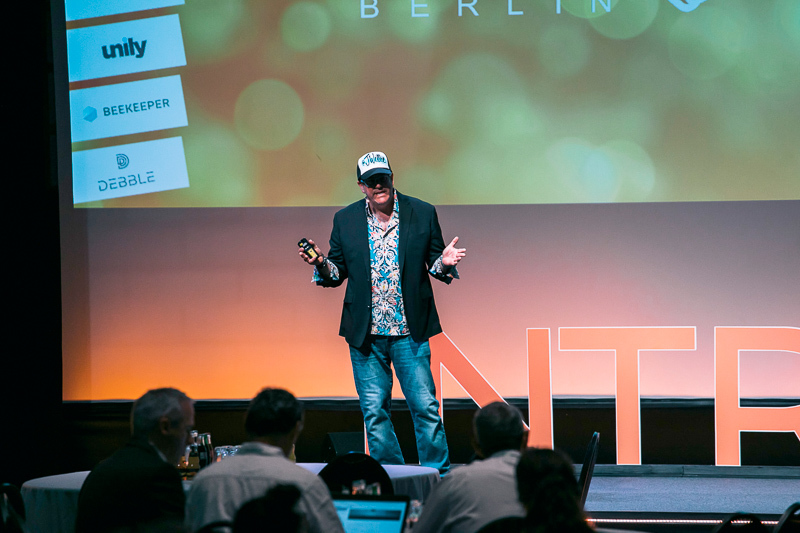 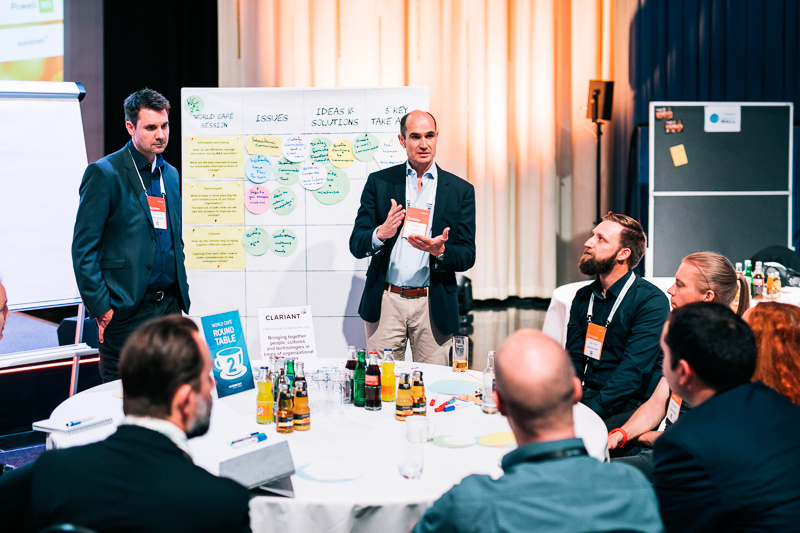 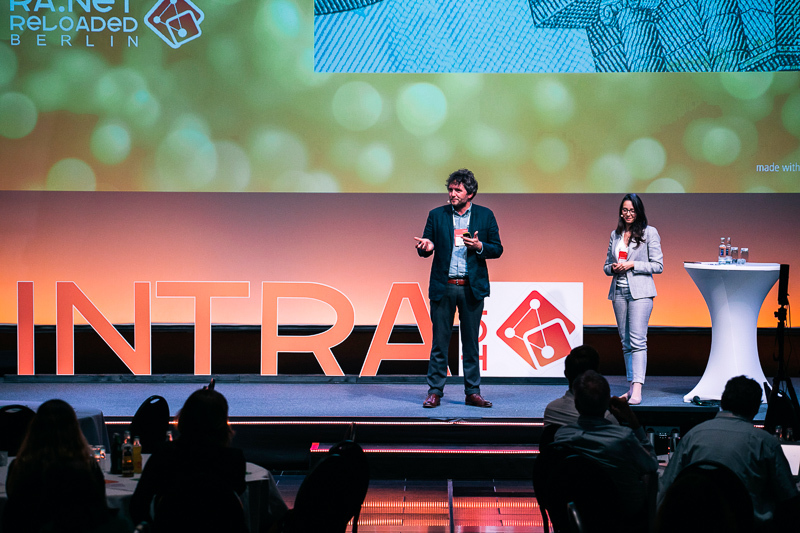 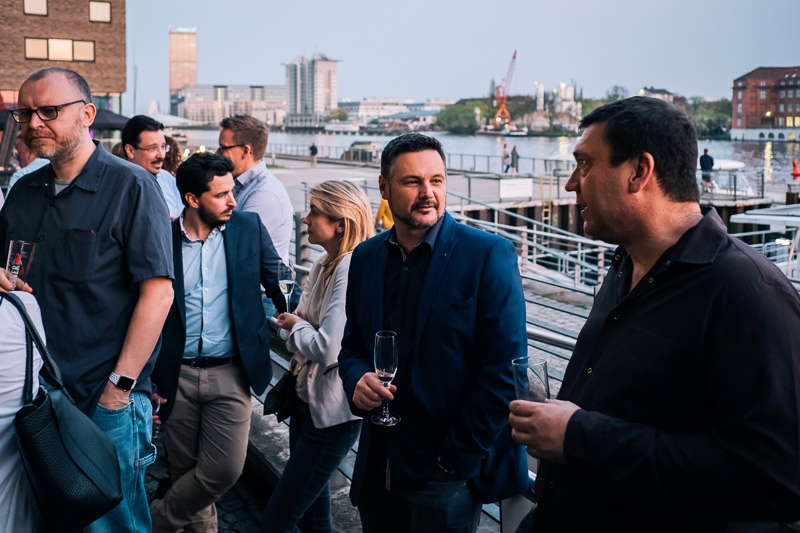 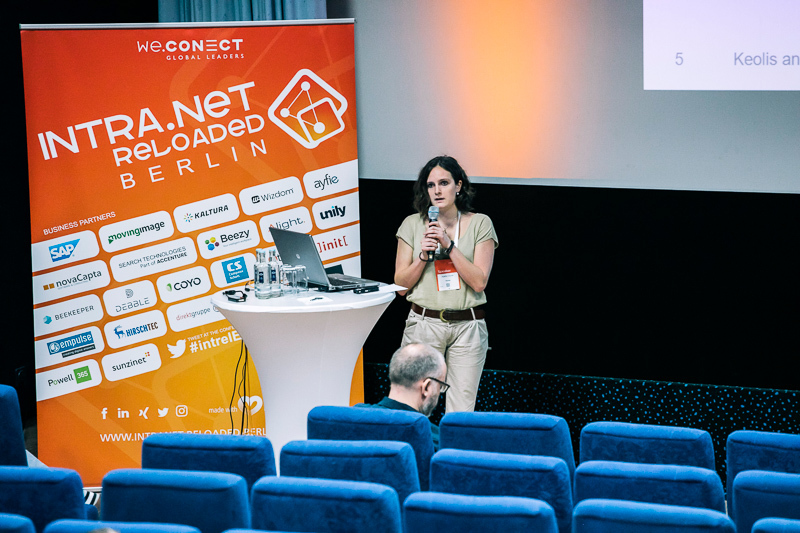 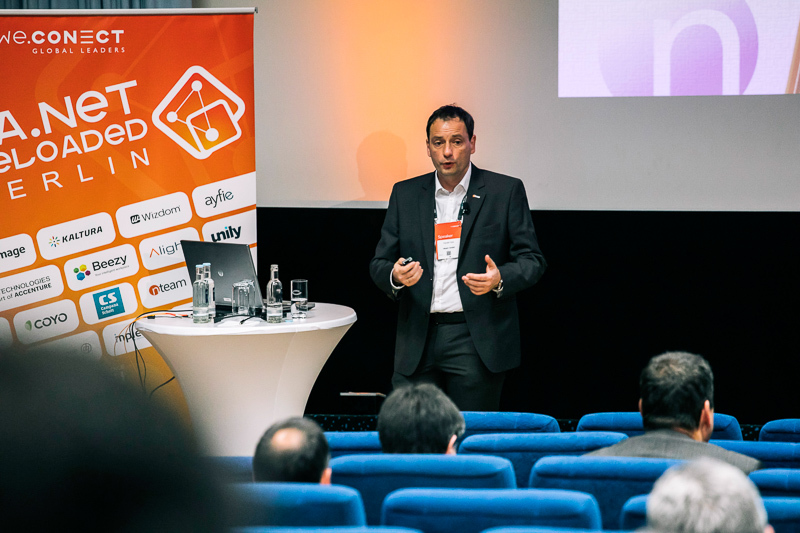 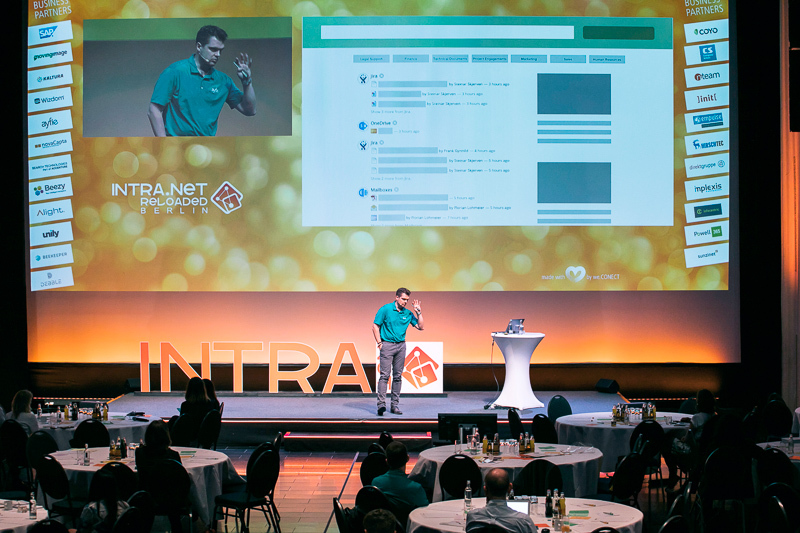 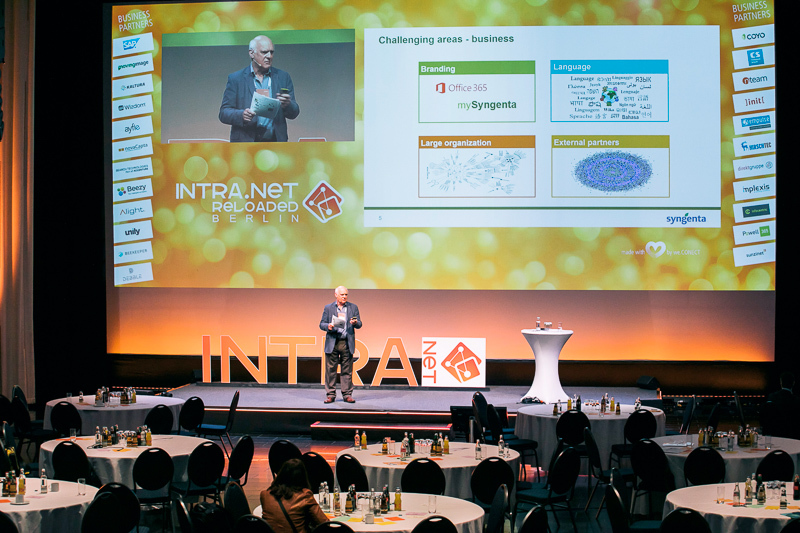 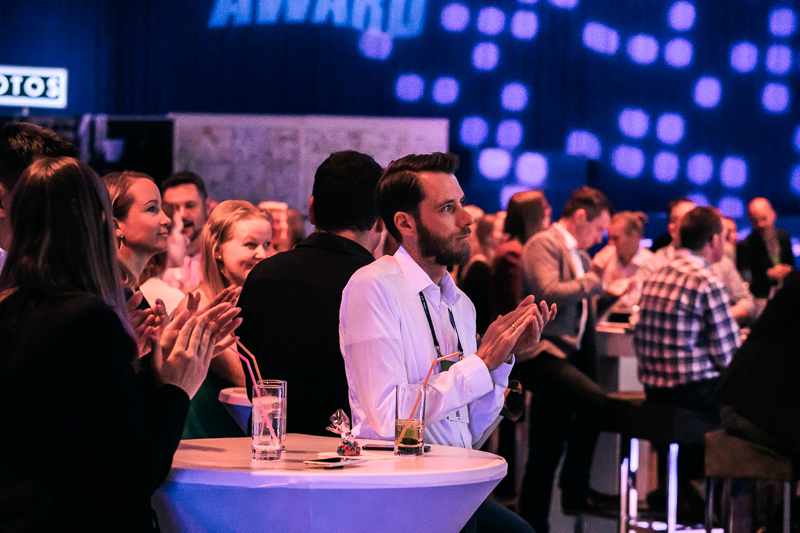 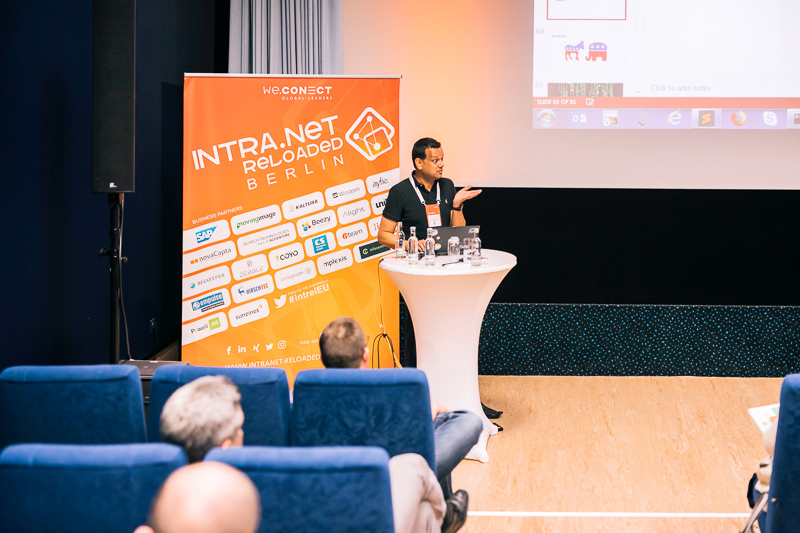 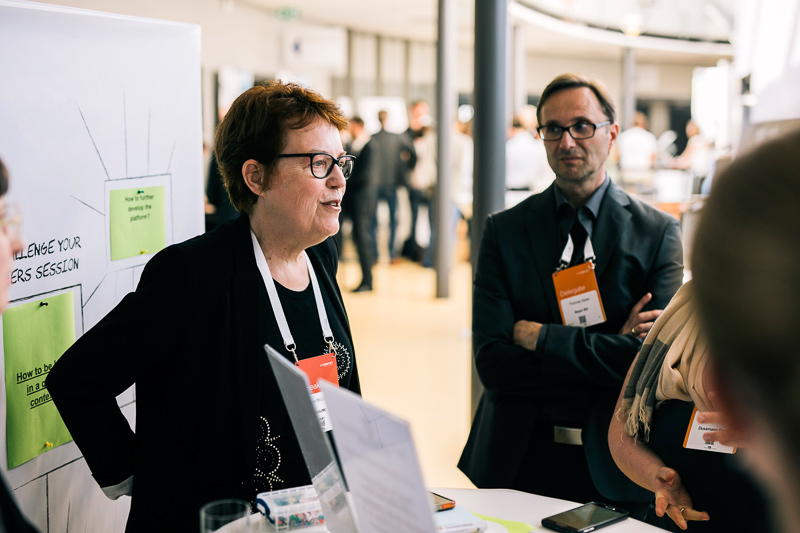 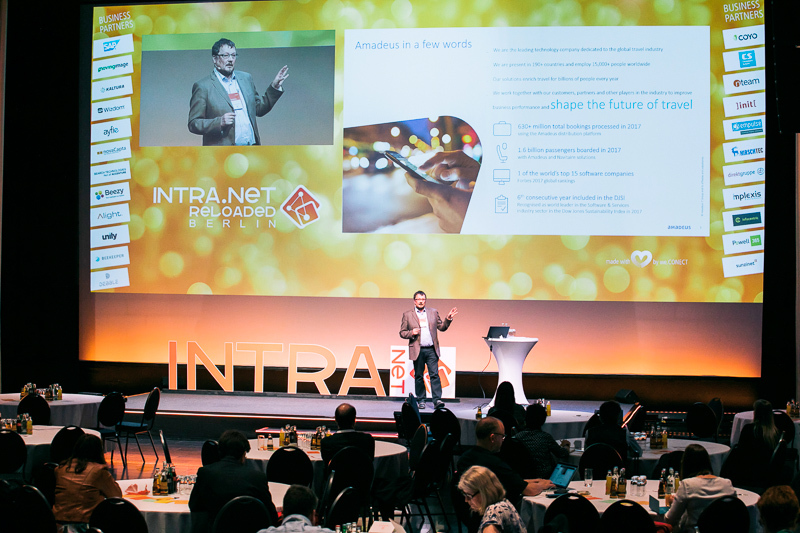 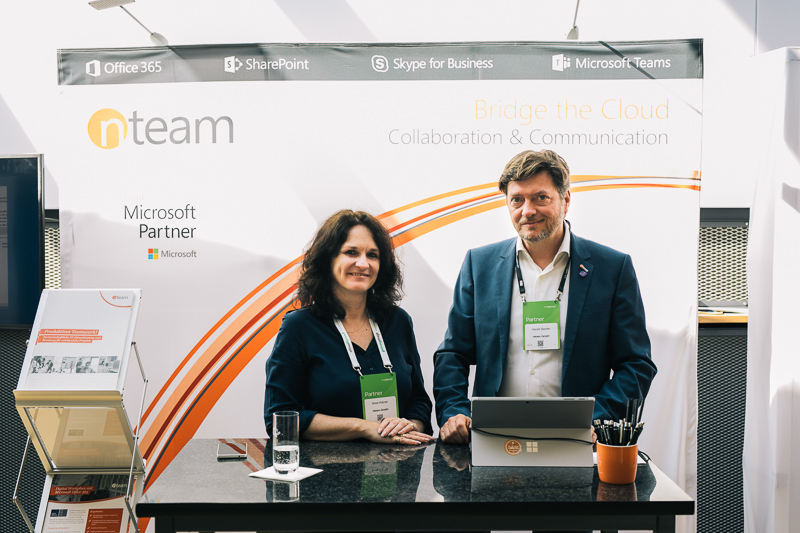 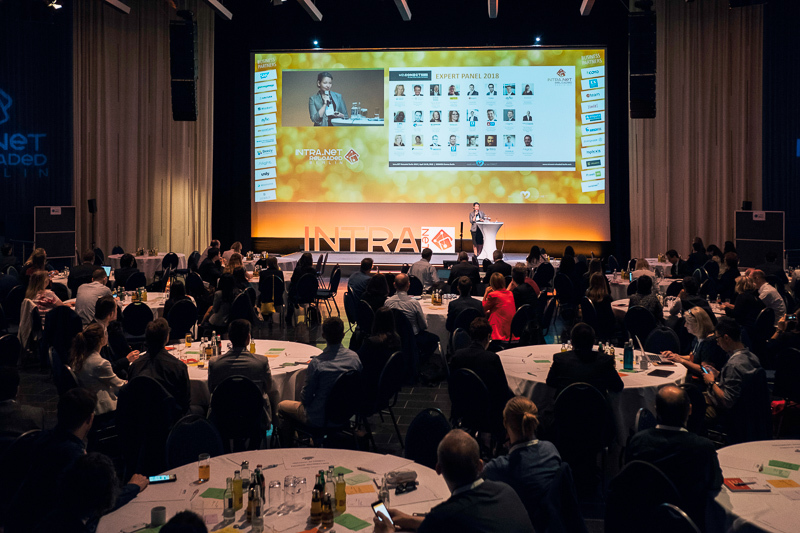 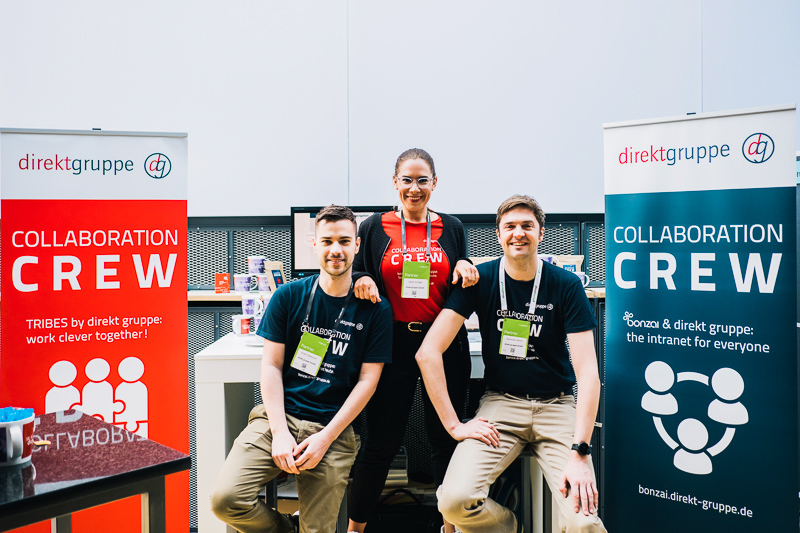 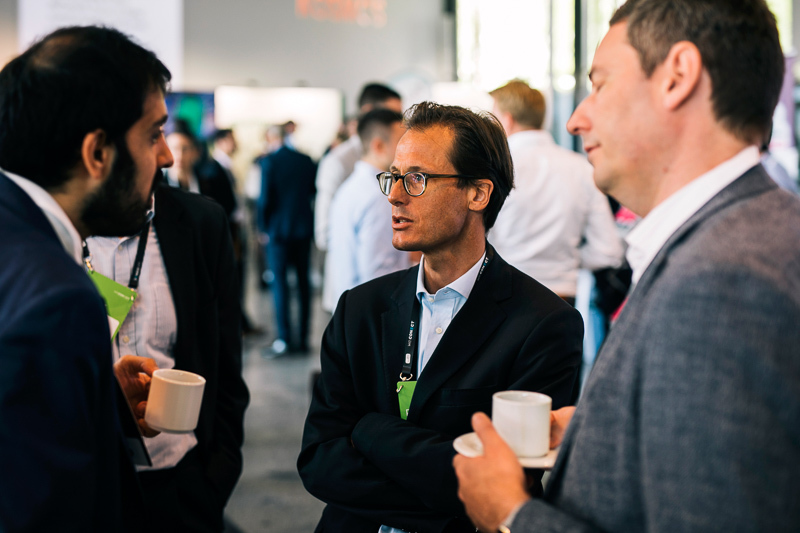 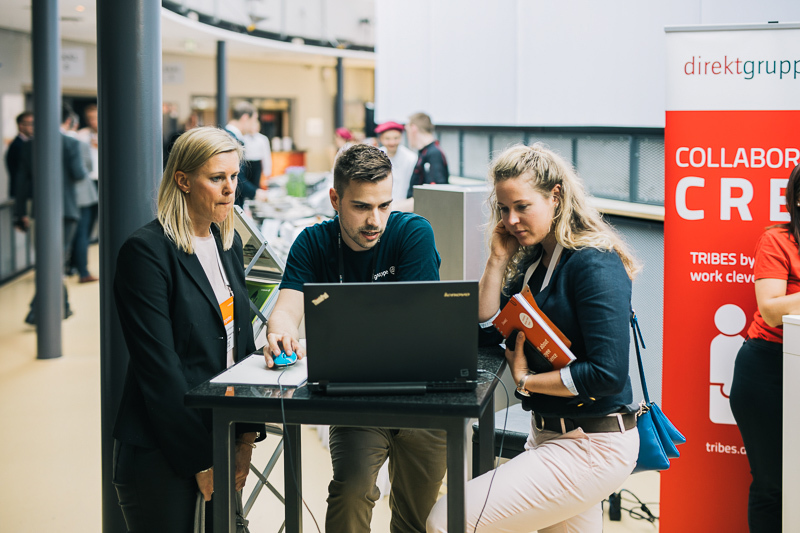 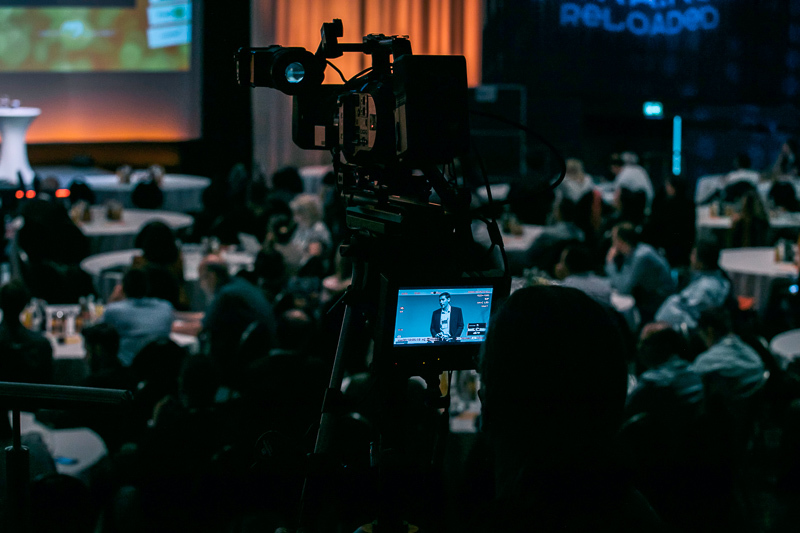 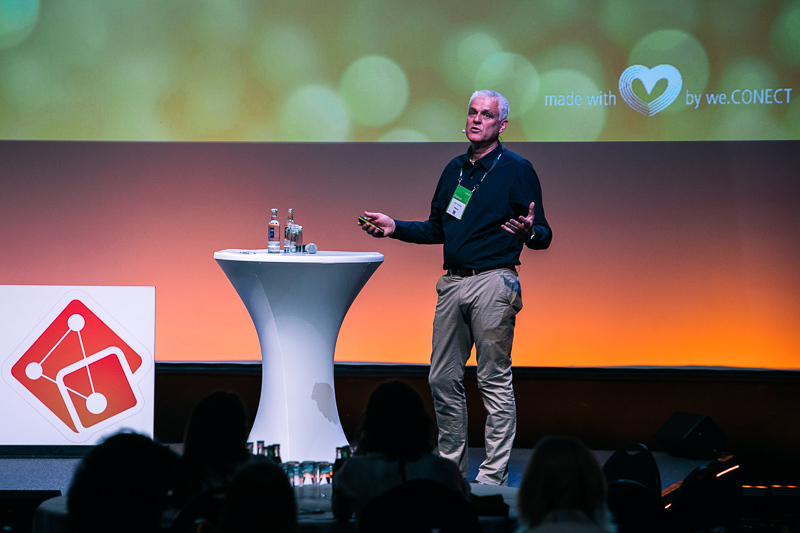 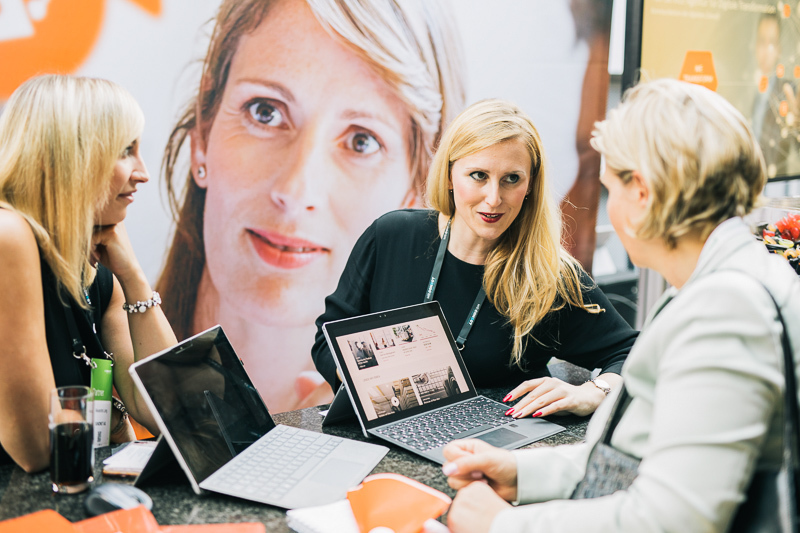 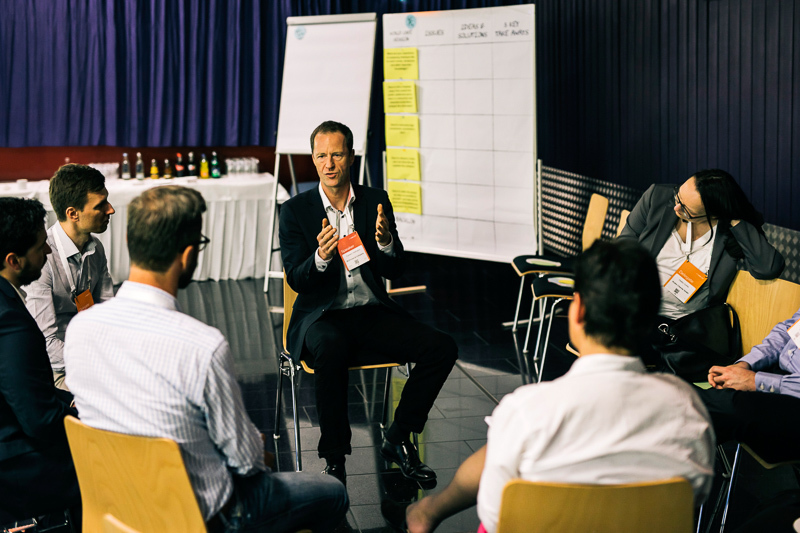 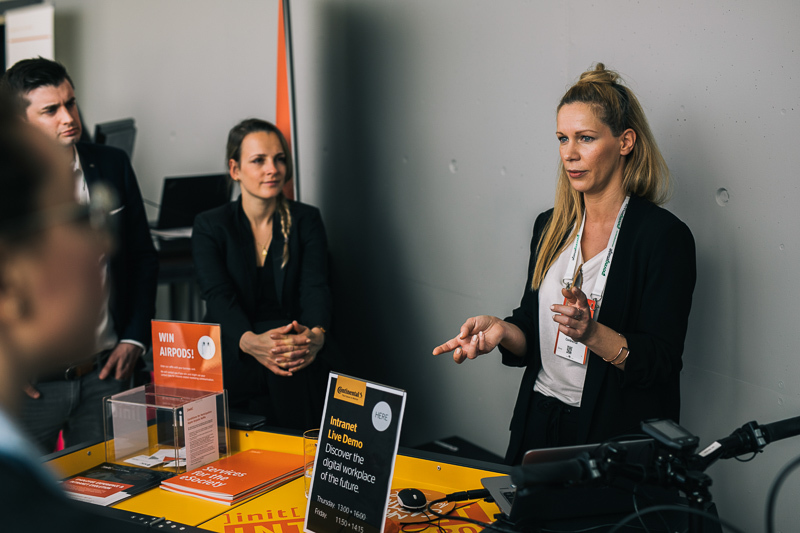 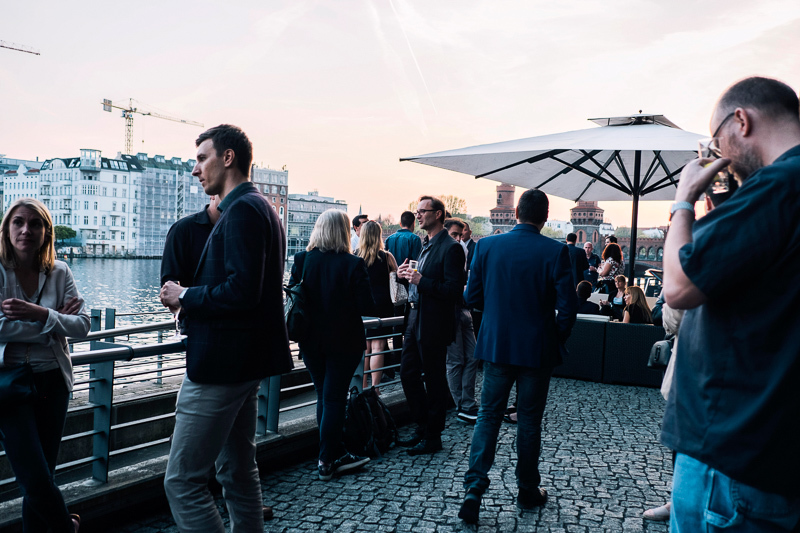 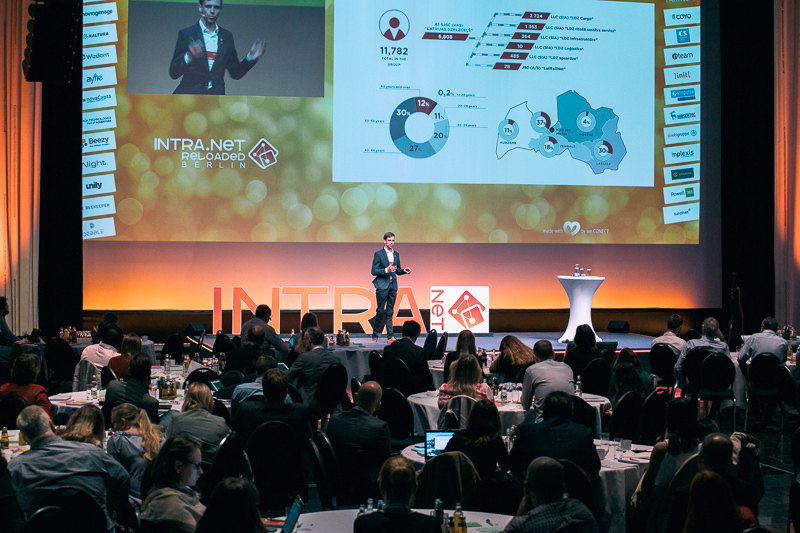 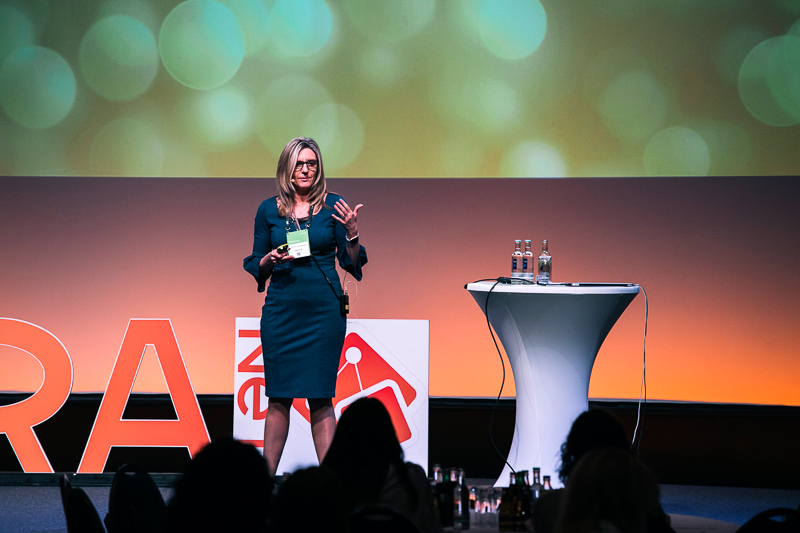 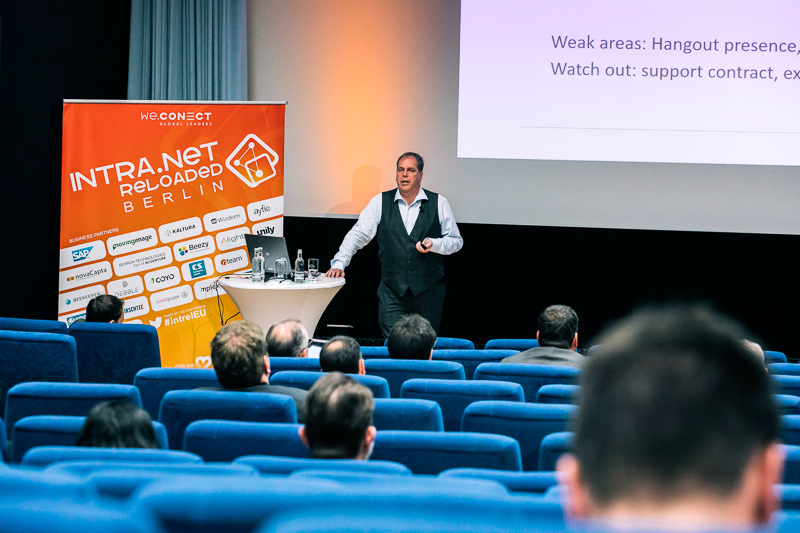 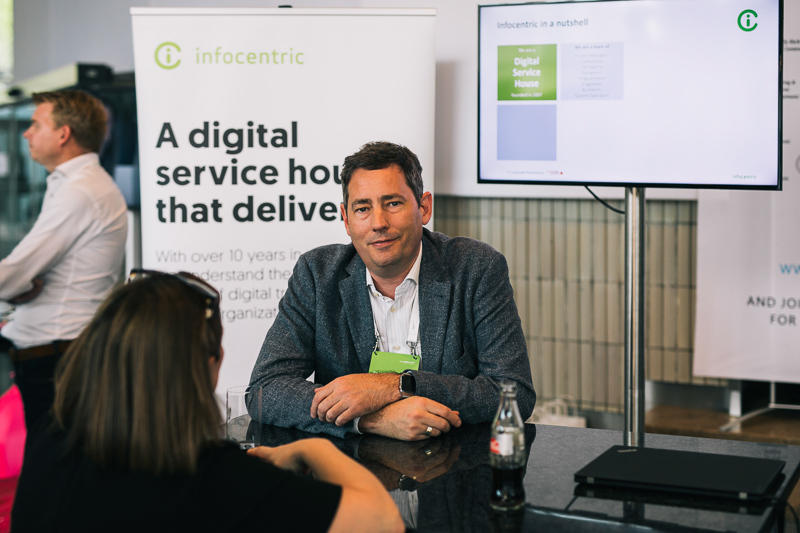 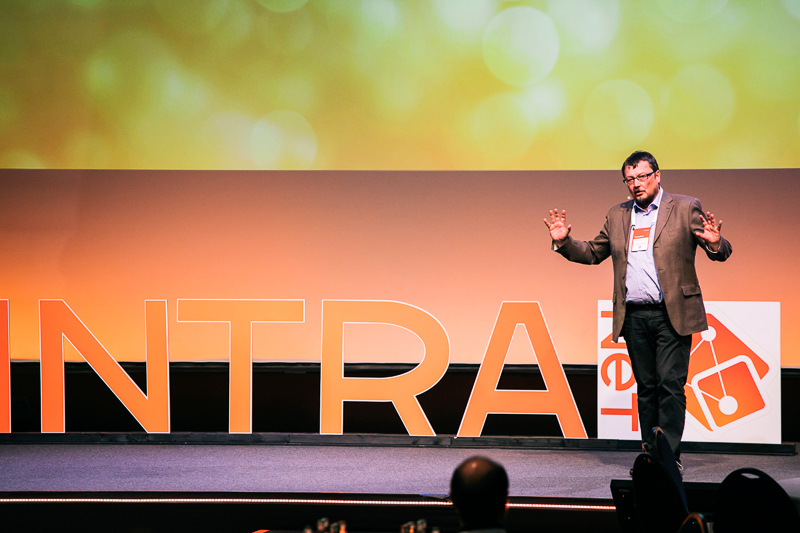 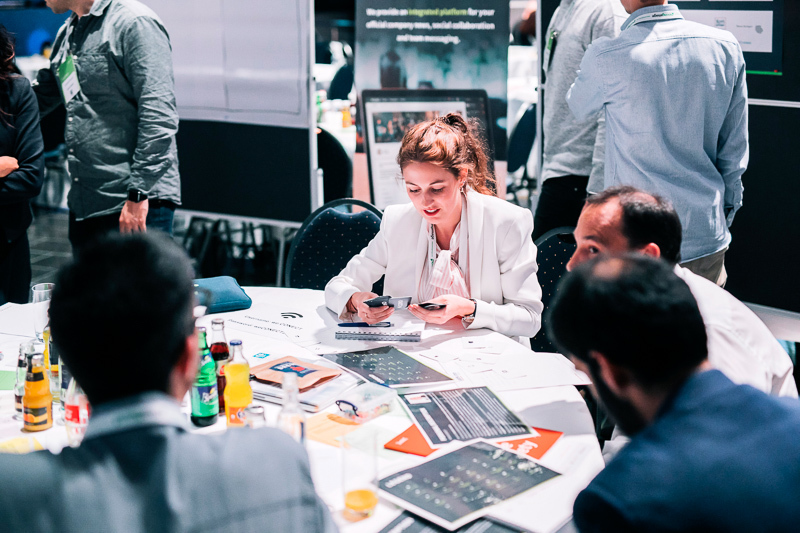 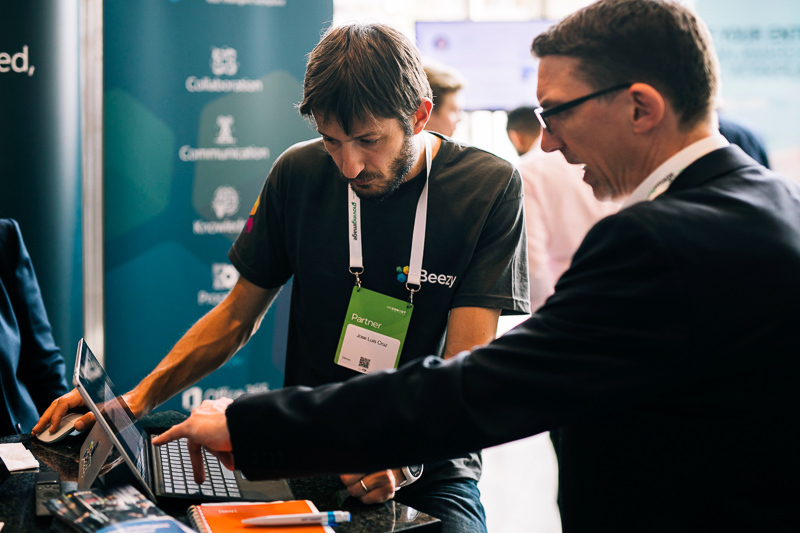 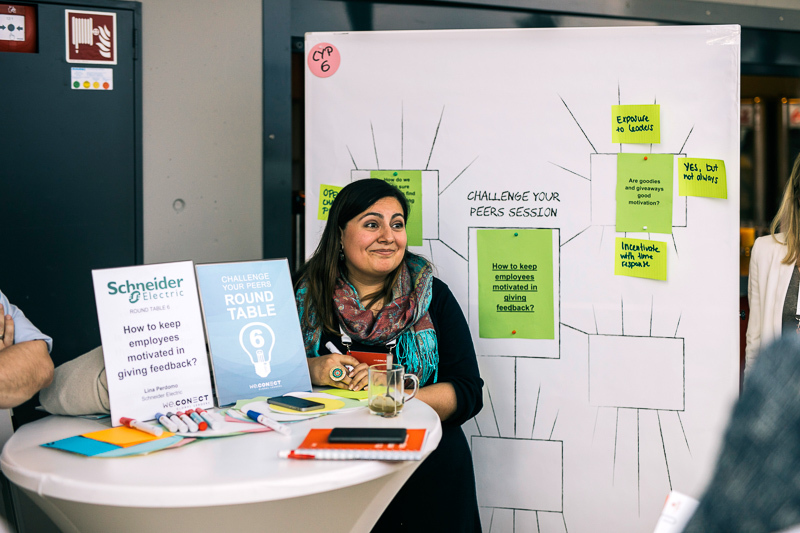 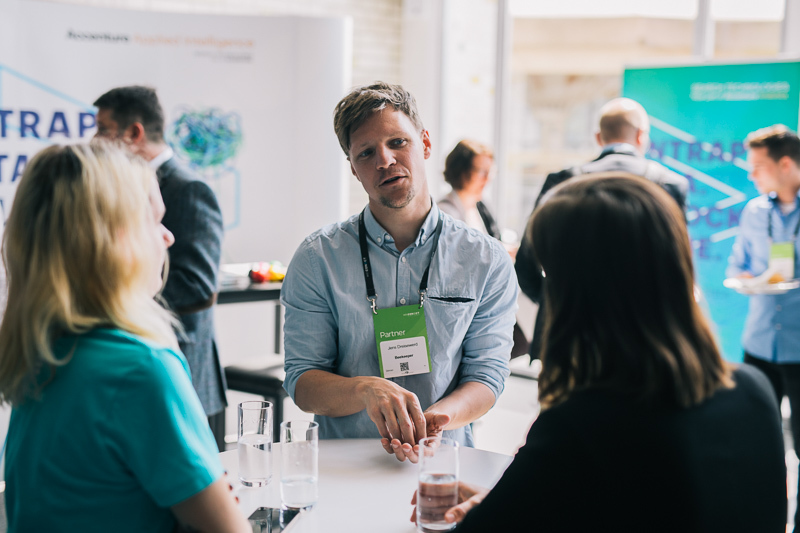 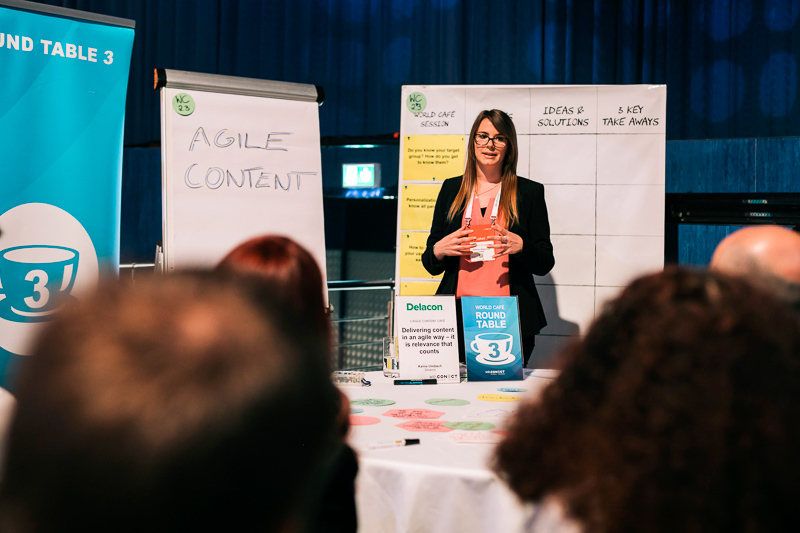 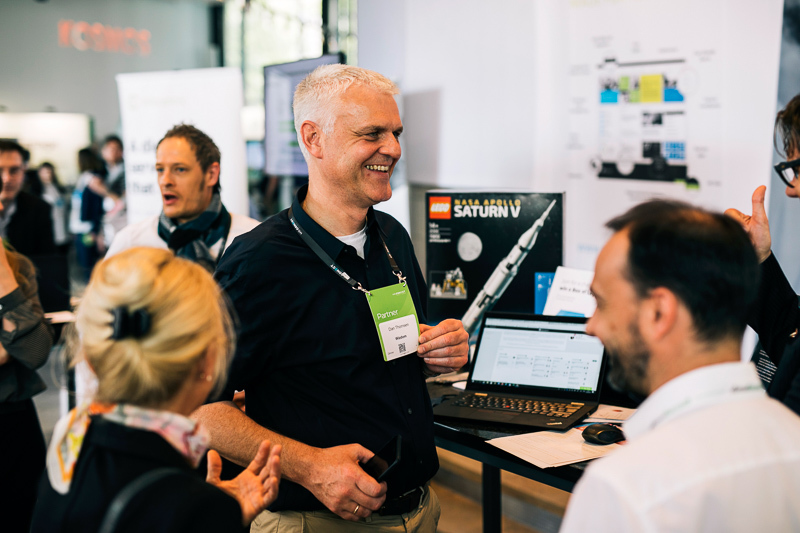 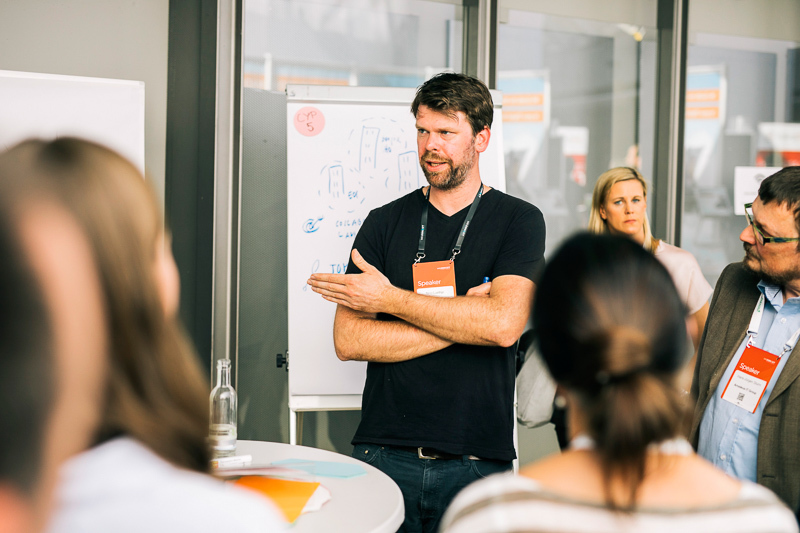 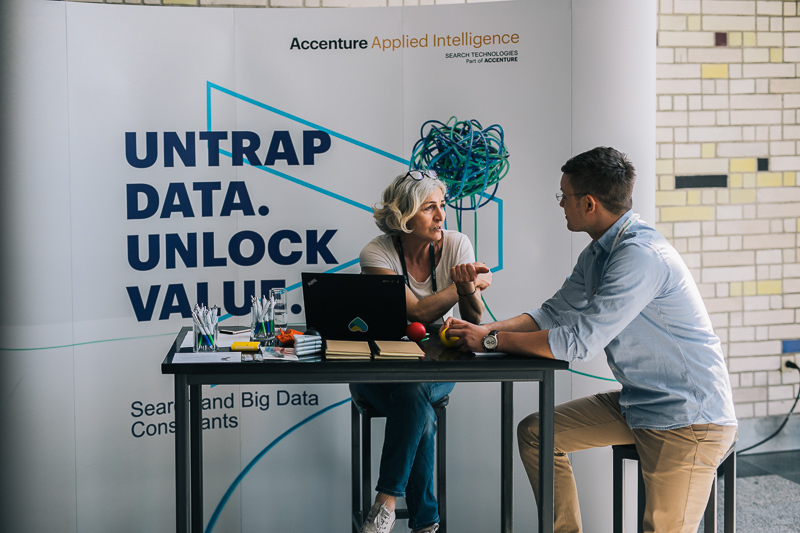 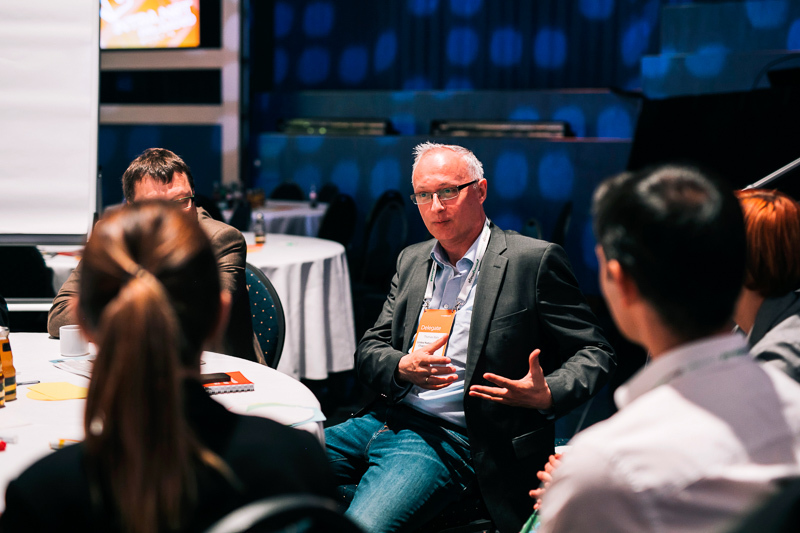 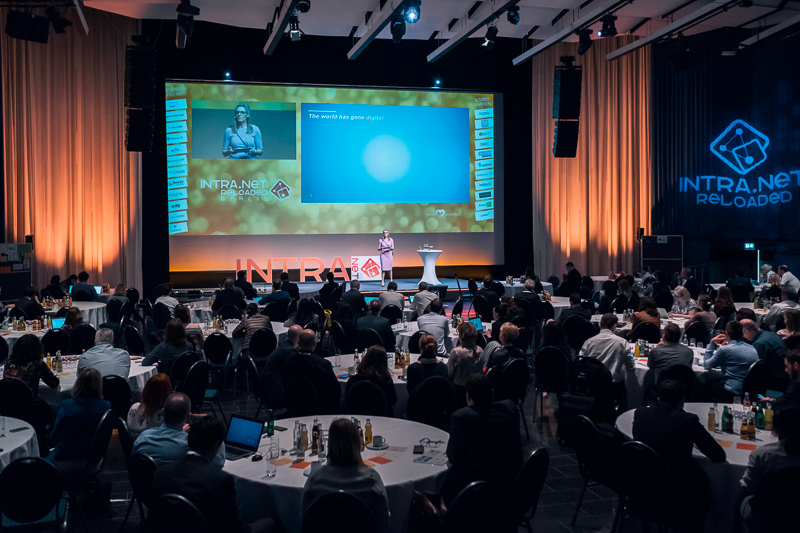 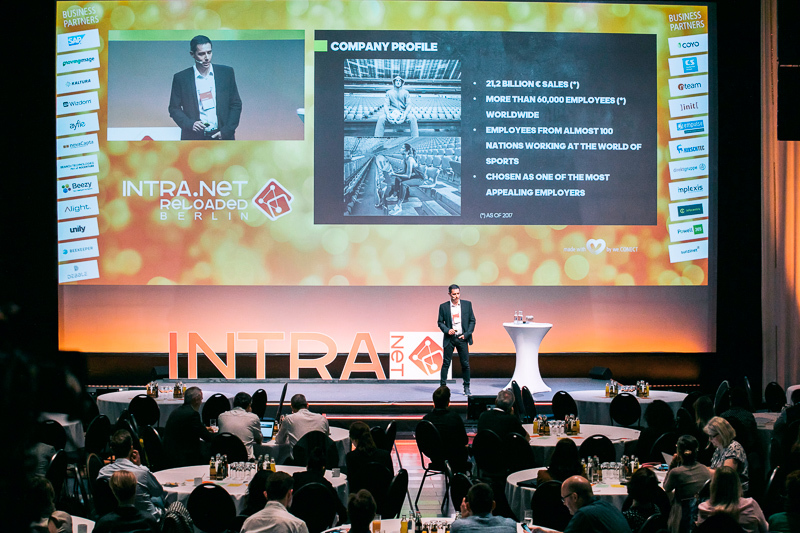 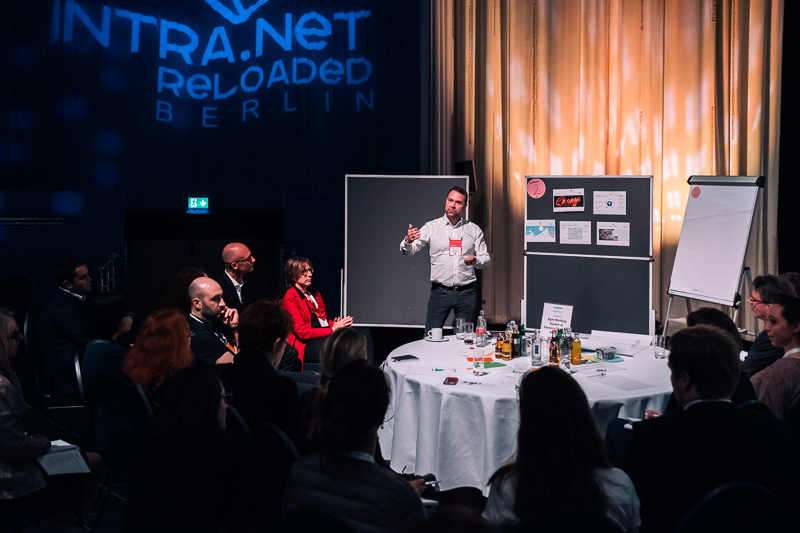 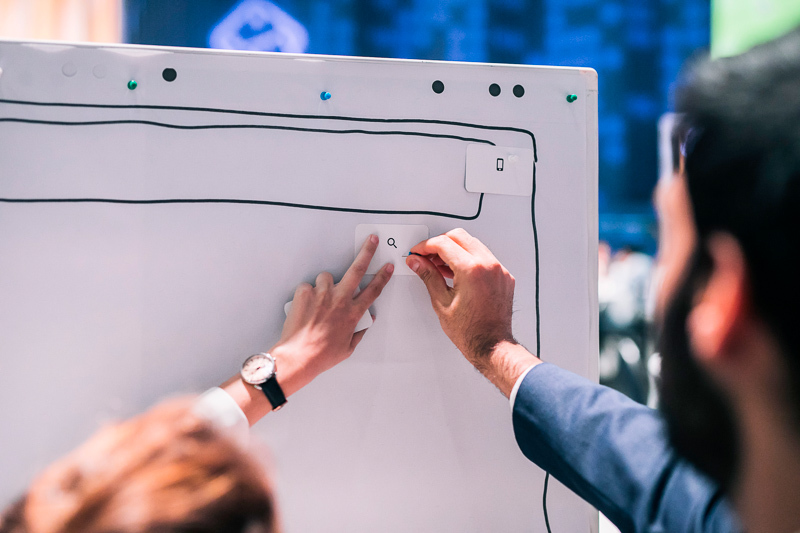 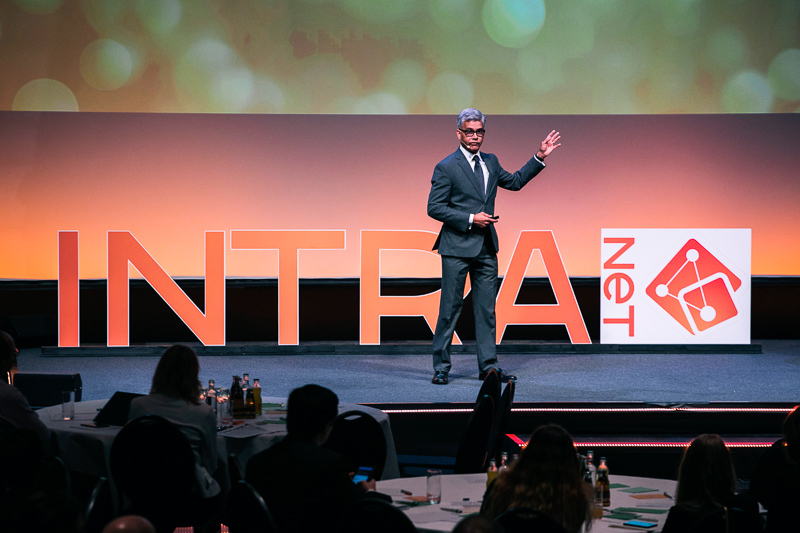 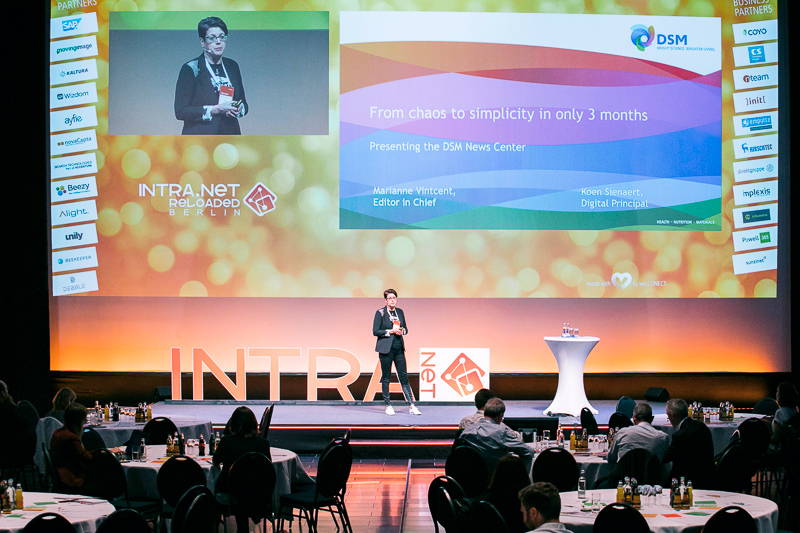 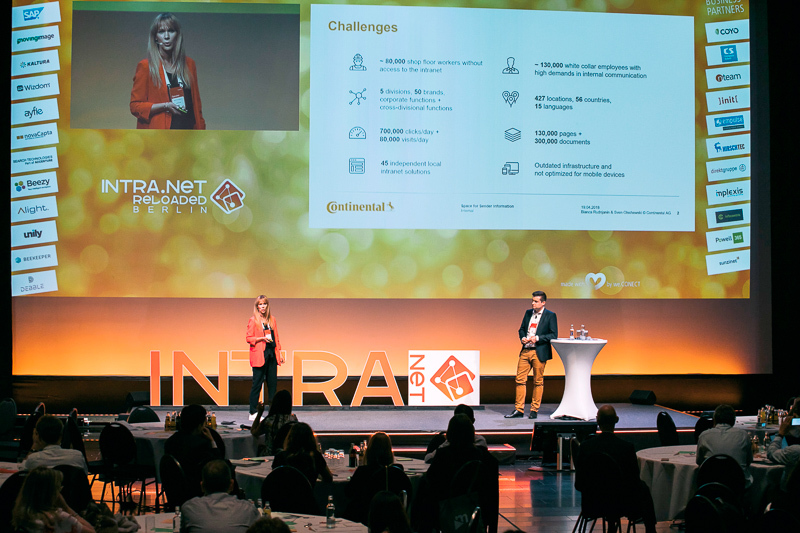 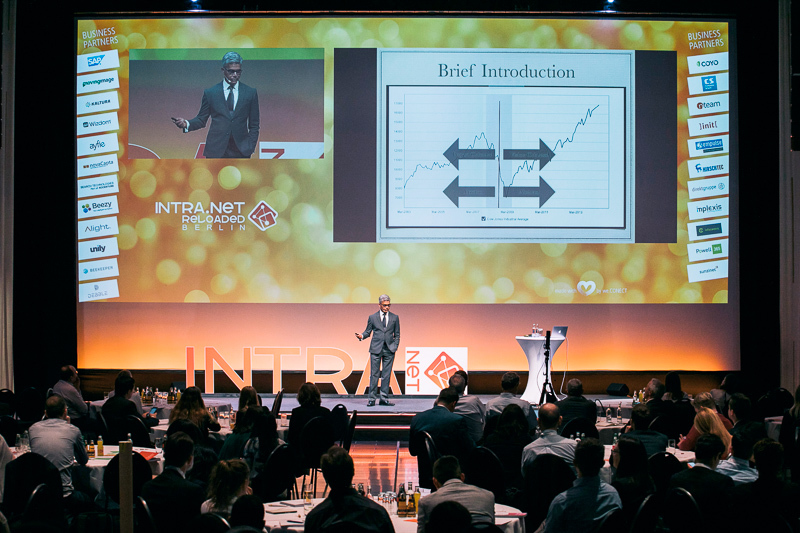 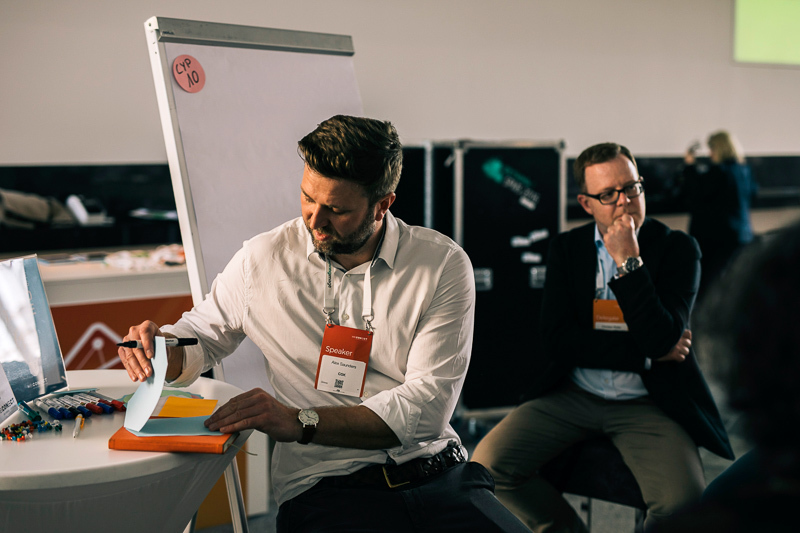 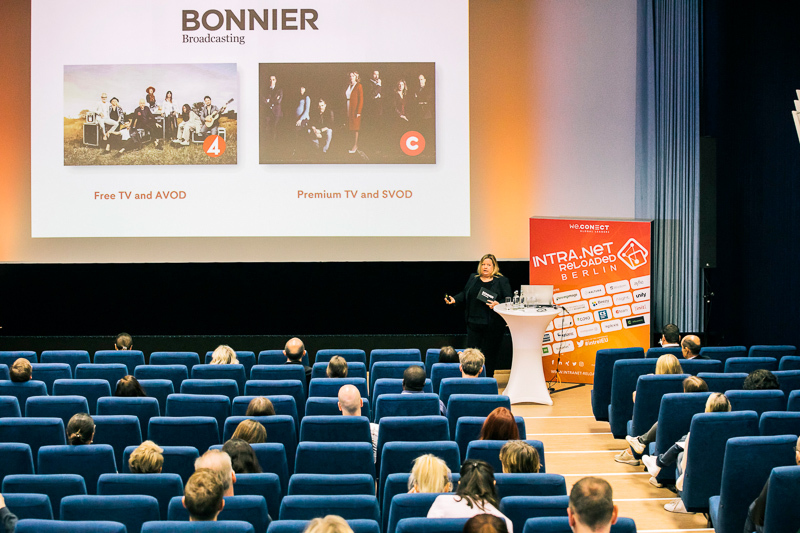 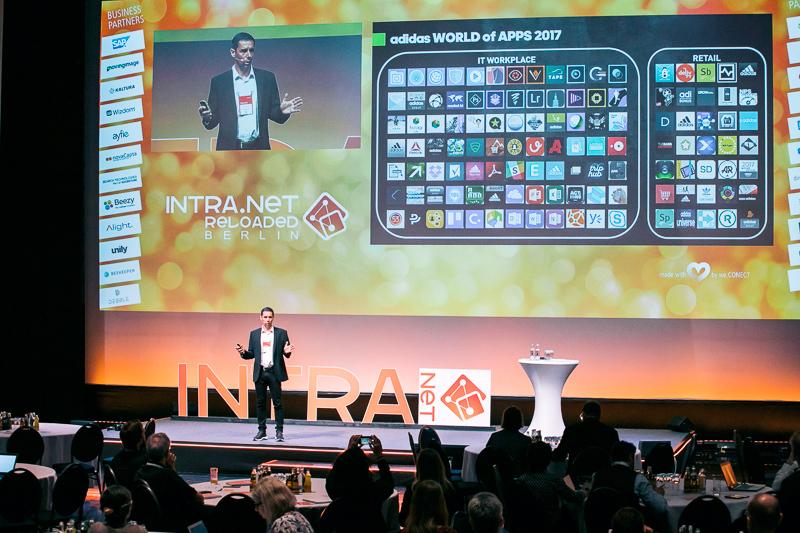 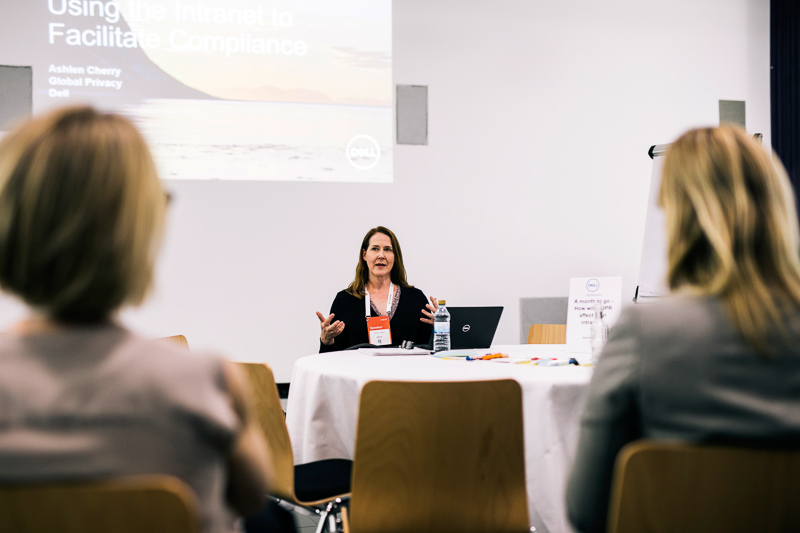 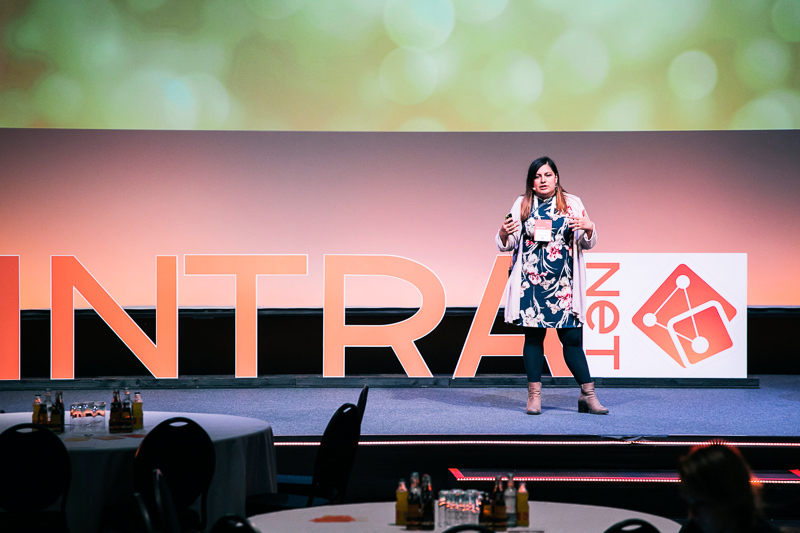 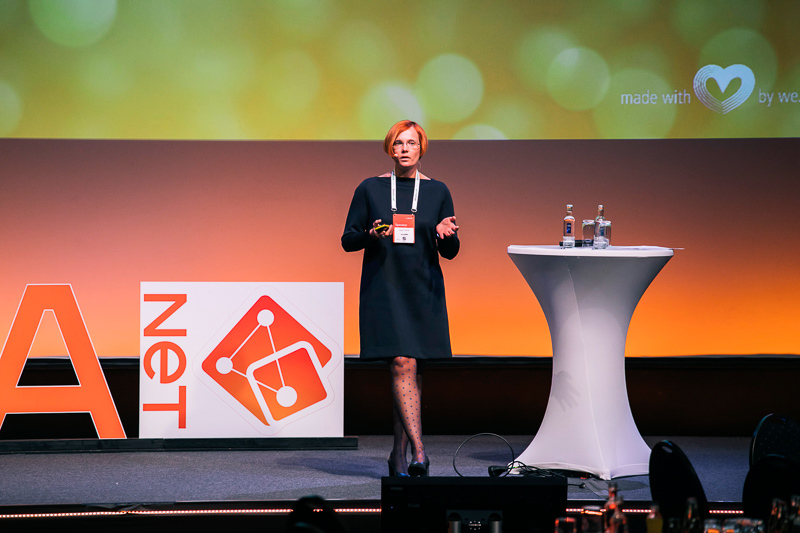 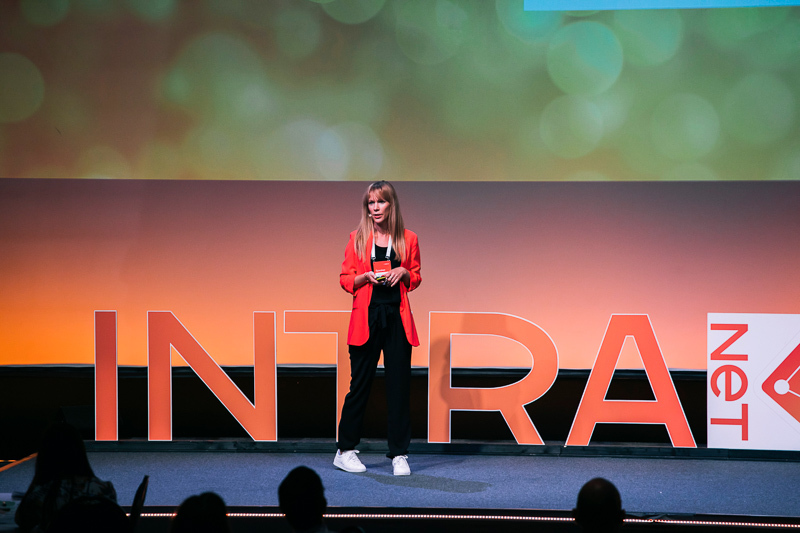 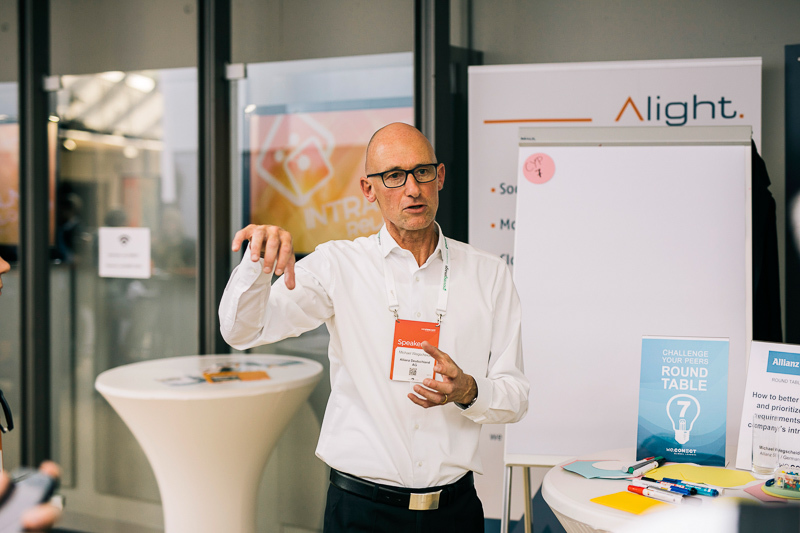 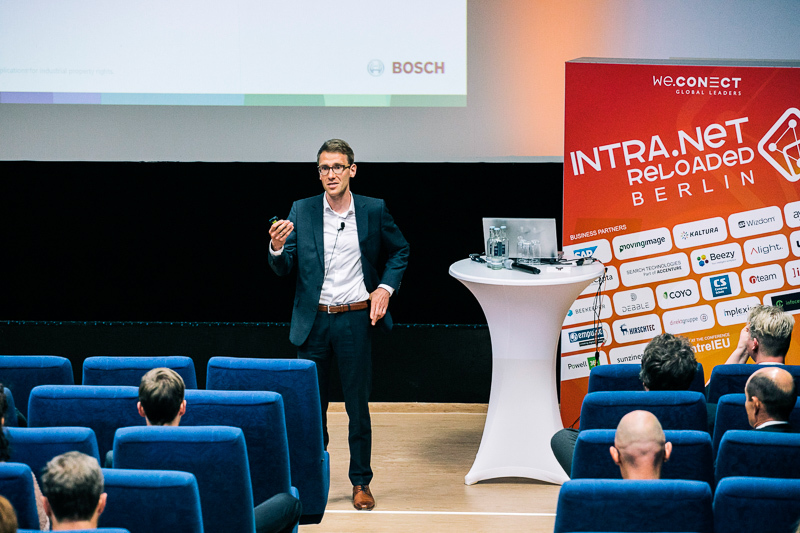 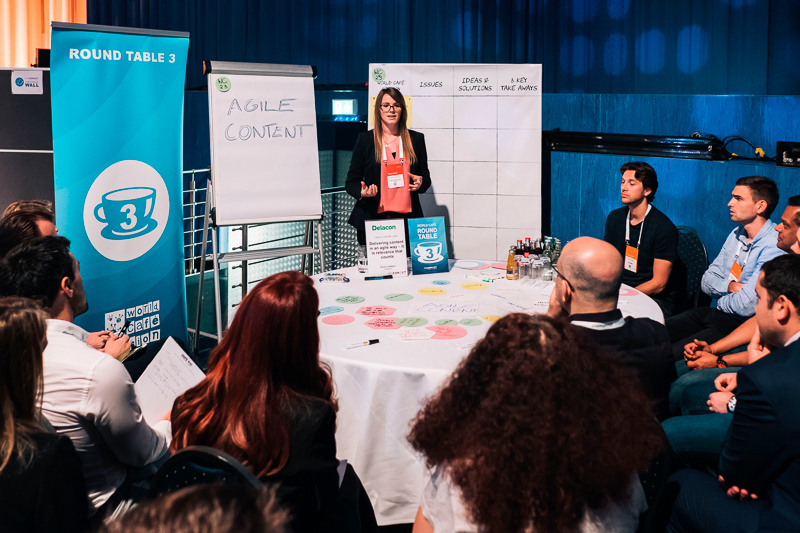 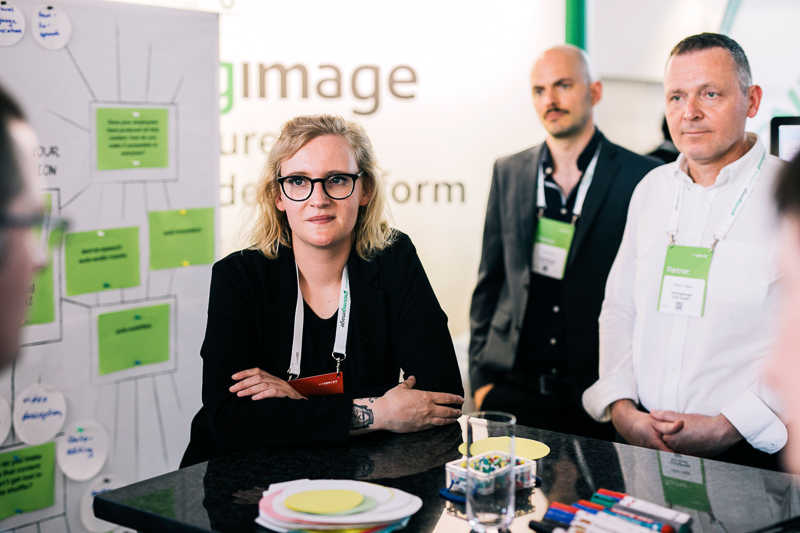 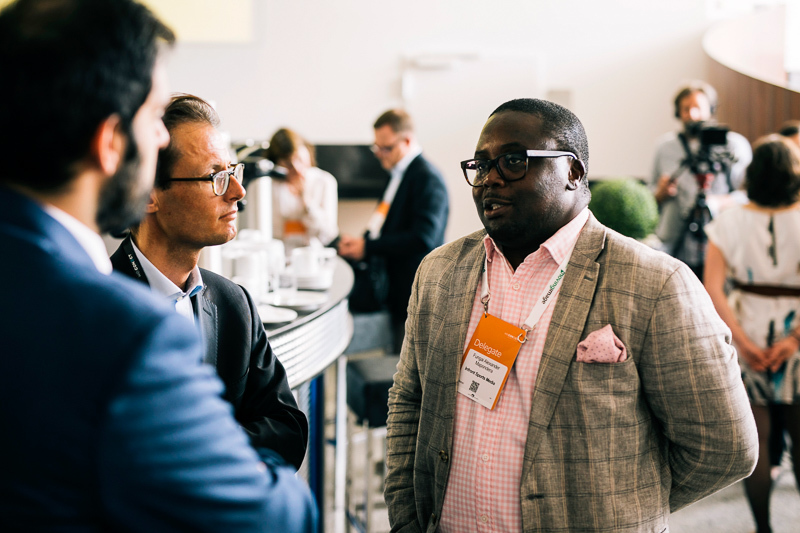 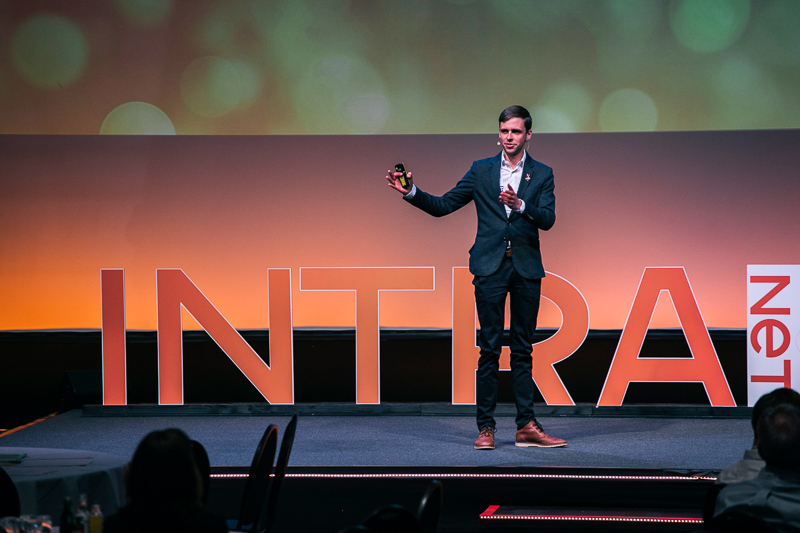 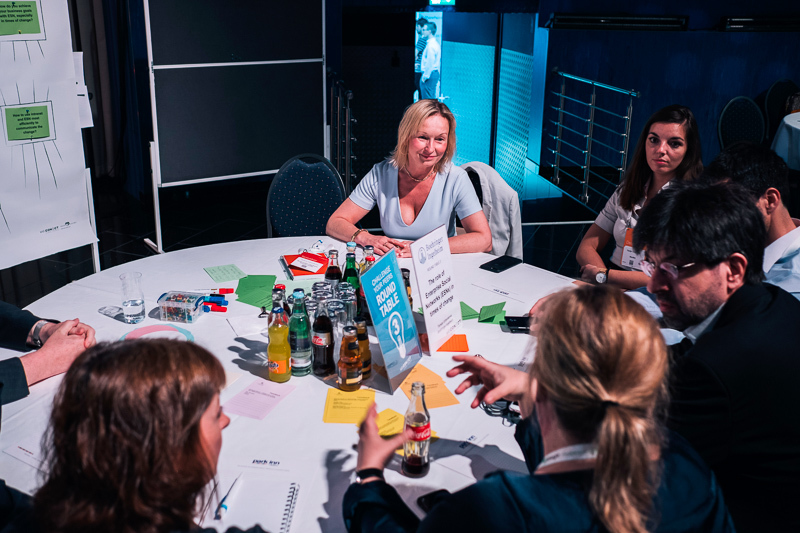 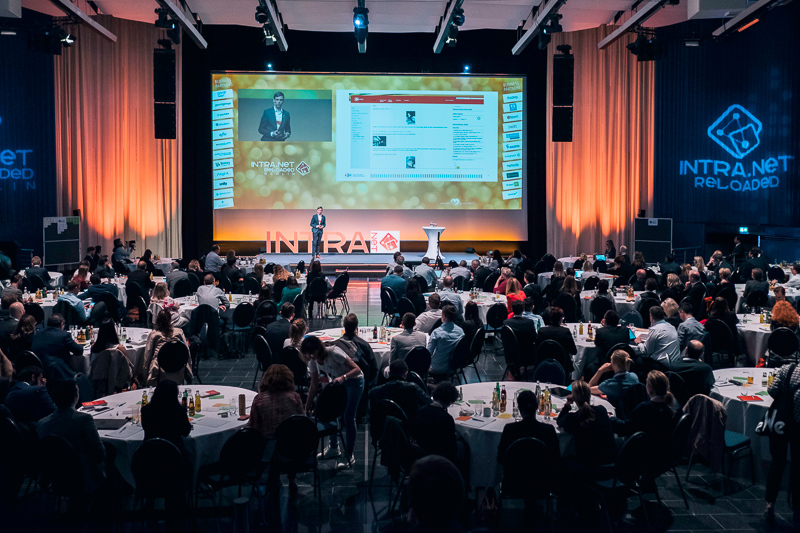 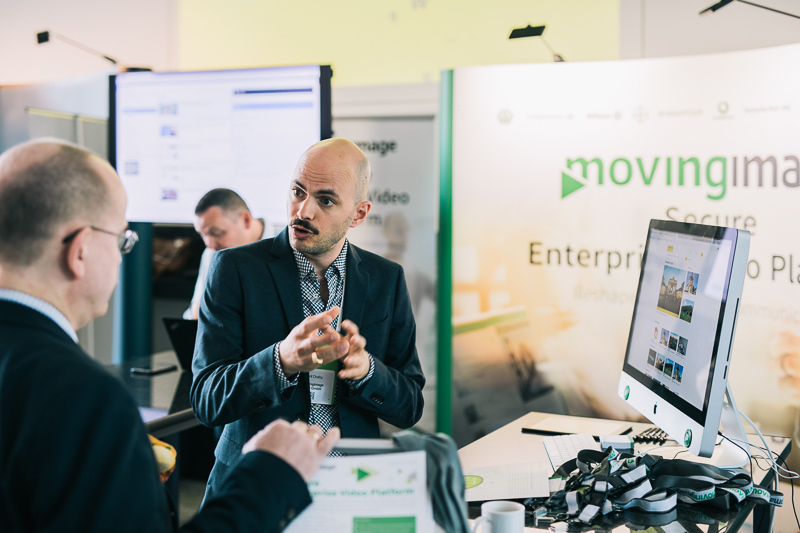 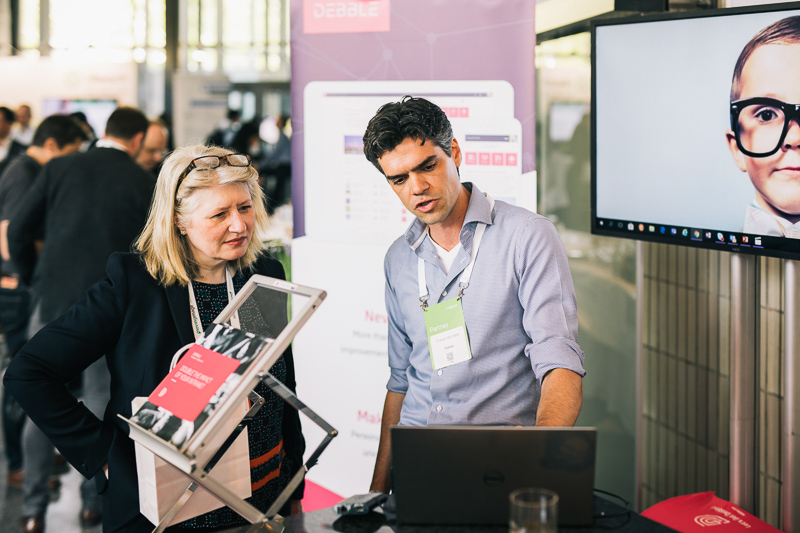 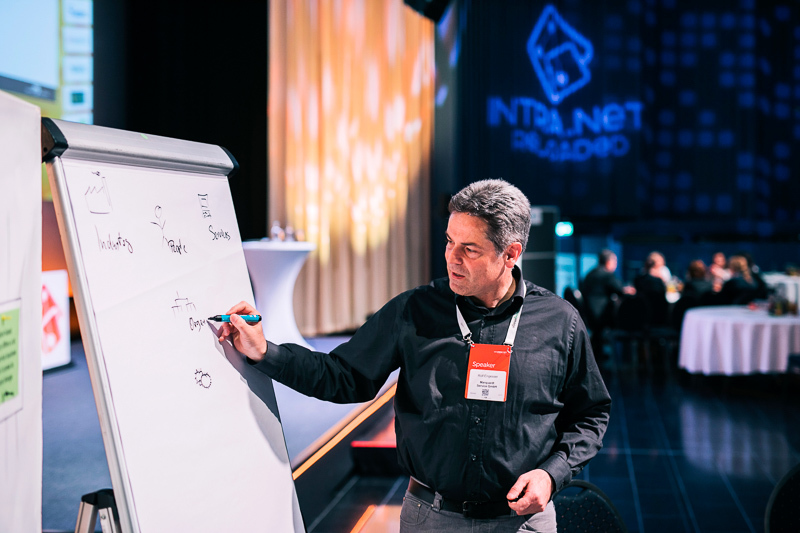 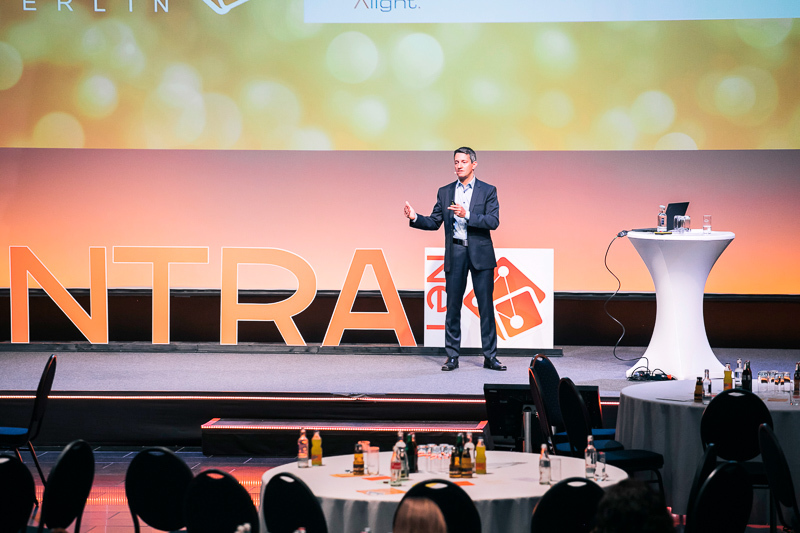 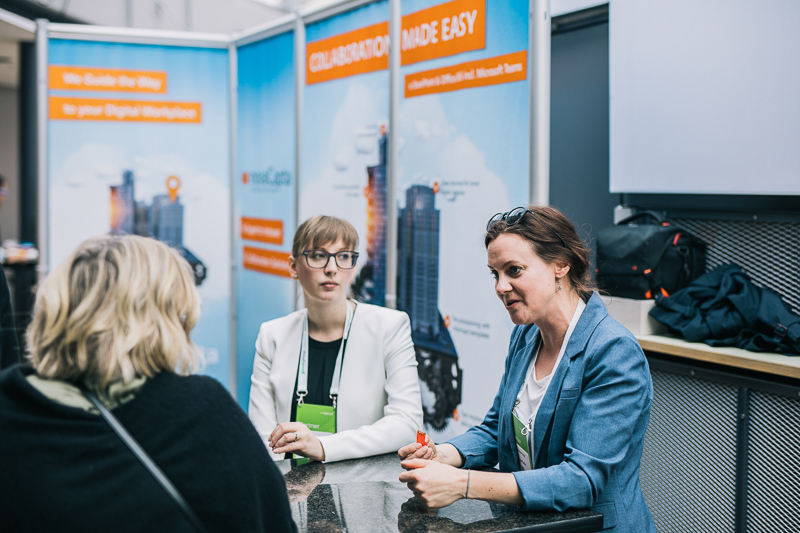 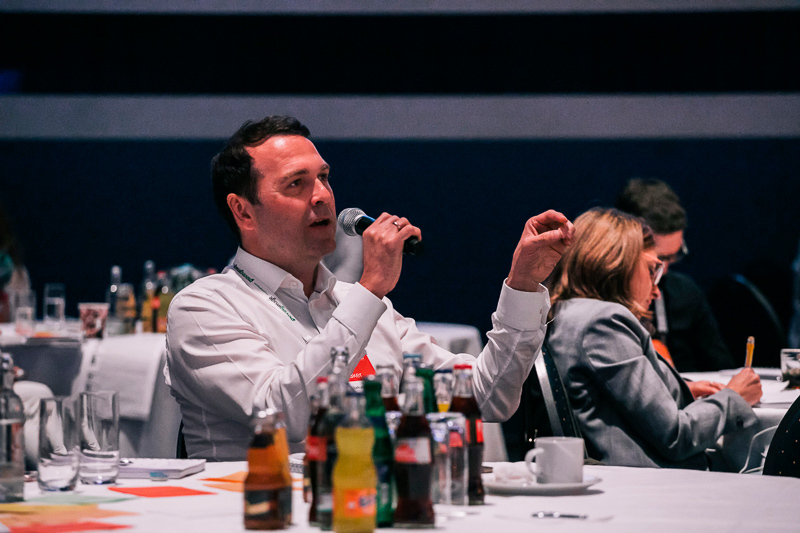 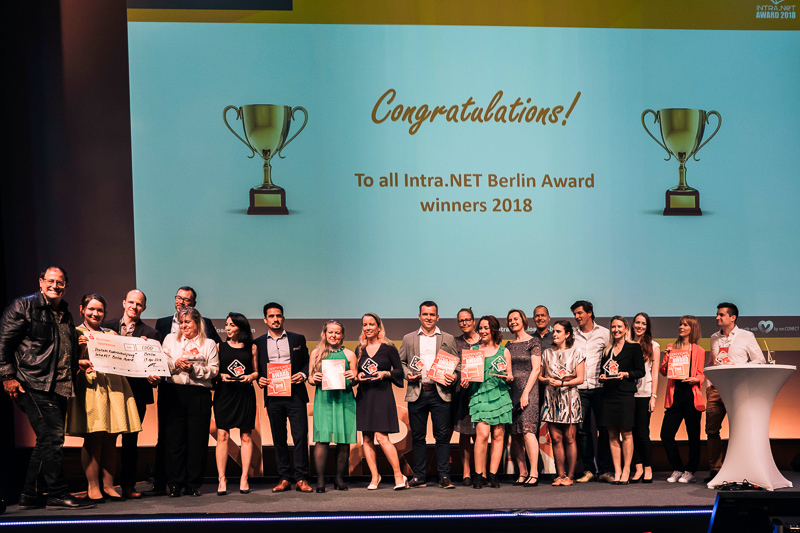 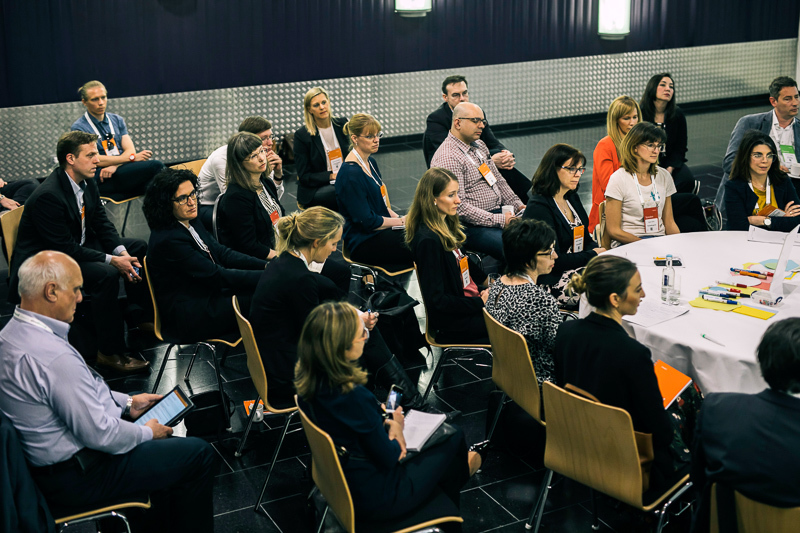 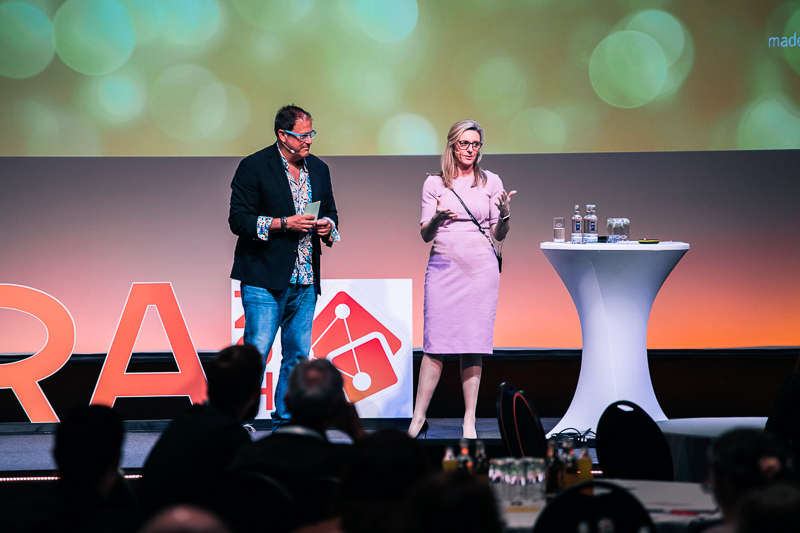 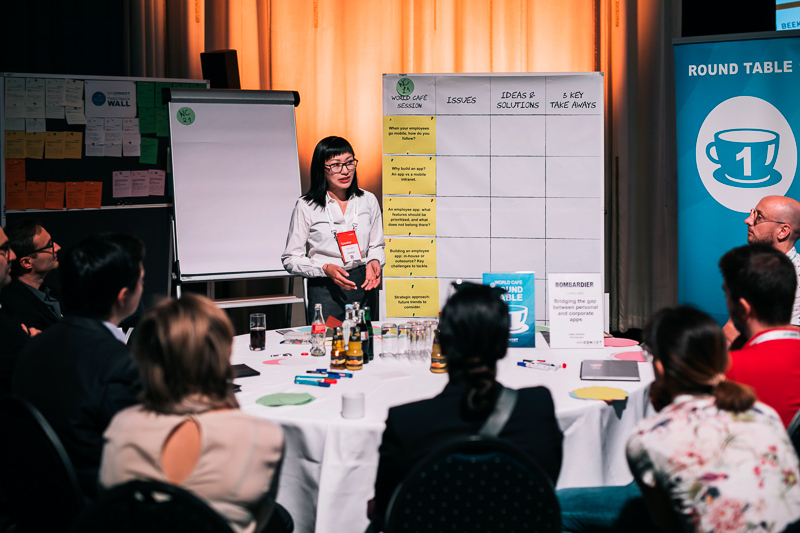 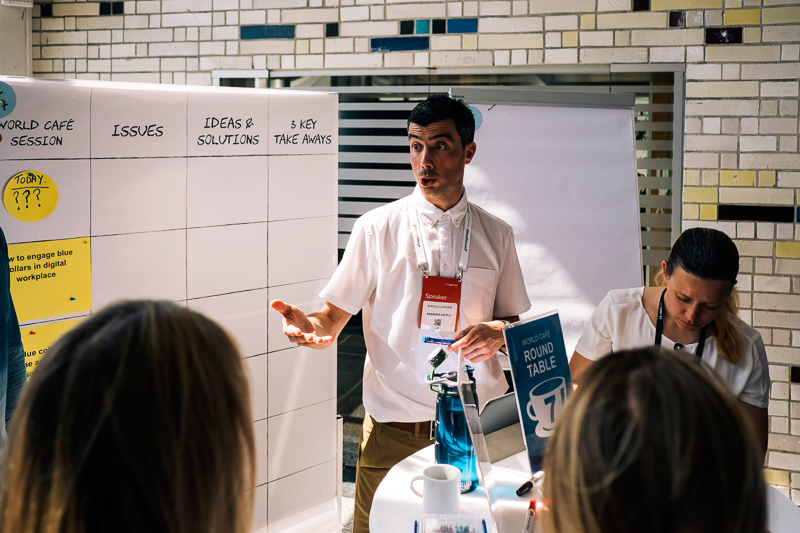 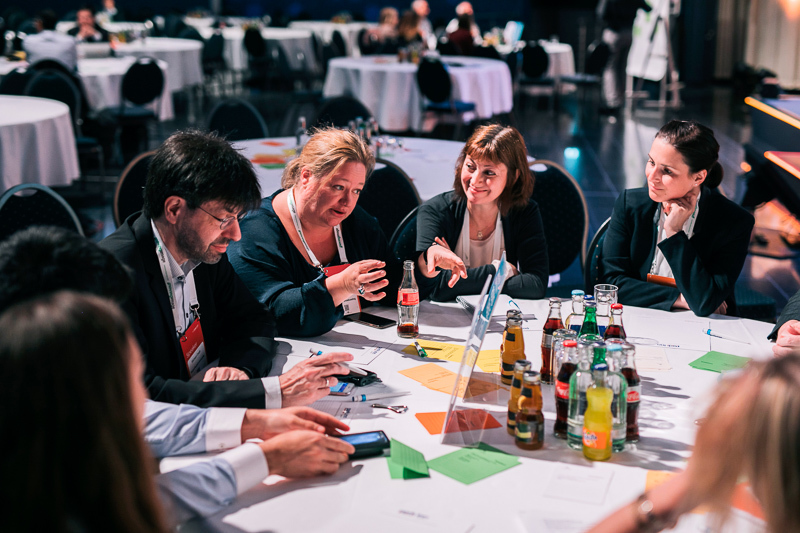 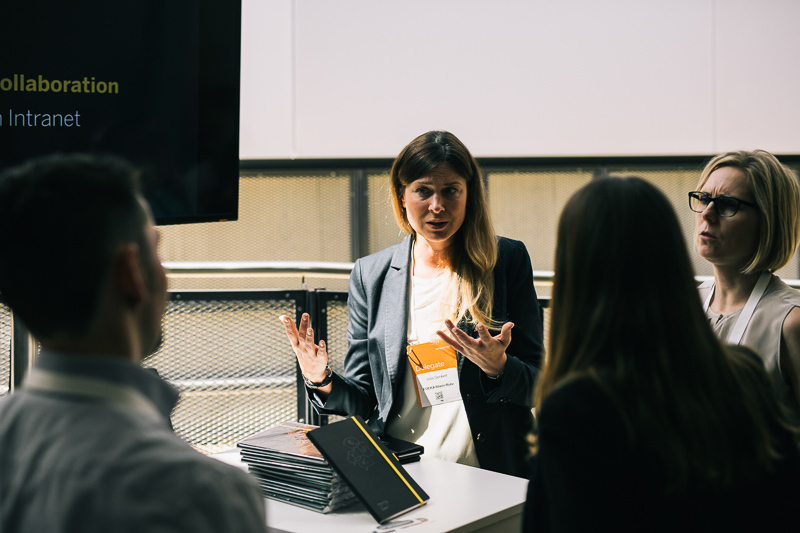 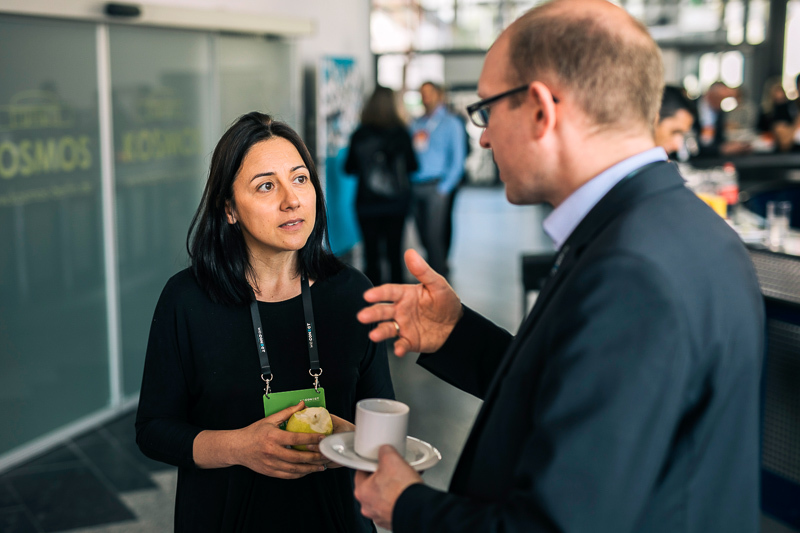 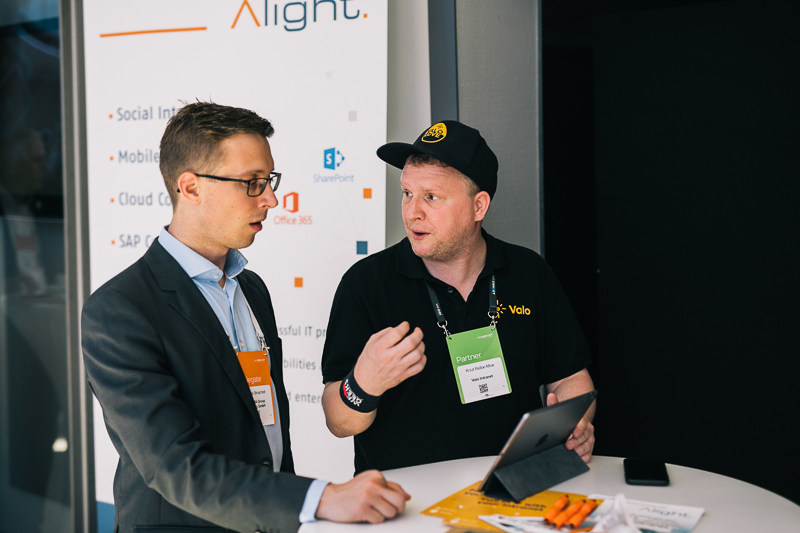 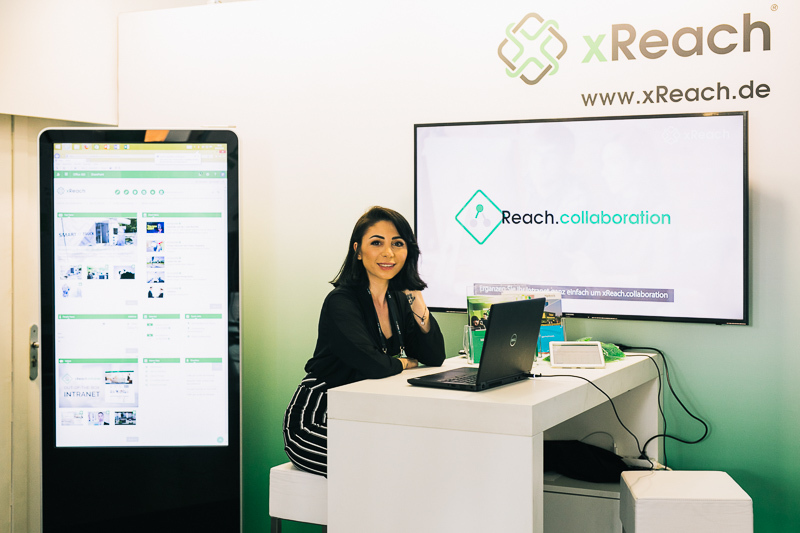 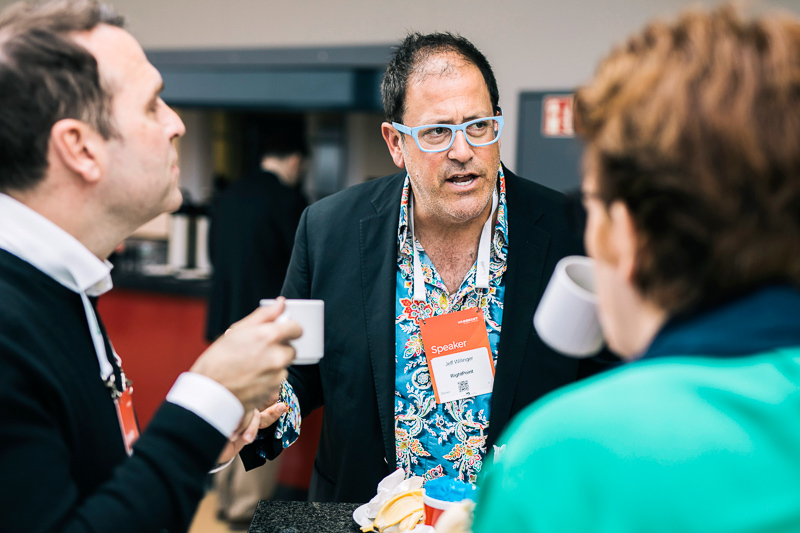 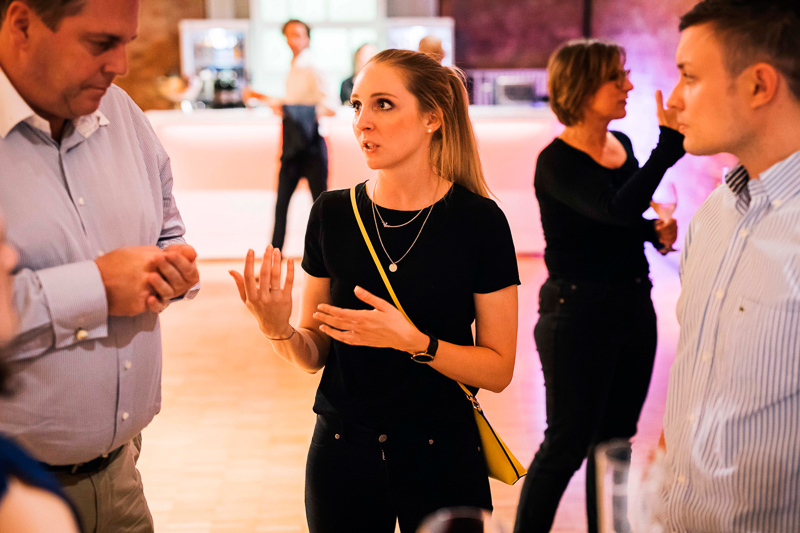 Position your business as a thought leader at Intra.NET Reloaded Berlin 2019 and become a partner today!